Over the course of the weekend (Saturday 30th April and Sunday 1st May 2016), runners from Northern Ireland have enjoyed success outside NI, with several notable performances at major events. This of course follows on from quality local performances at the HOKA Highland Fling (Scotland) and the Yorkshire 3 Peaks Mountain Race (England). Ballymena & Antrim AC star Christine McMahon ran her quickest ever season opener to break the previous BUCS record to secure 2nd place and the associated silver medal. Christine, who is coached by Ian Neely clocked a Euro Championships ‘B’ standard of 57.78secs to finish behind Jess Turner of Loughborough University. North Down AC club mates Andrew Mellon and Adam McComb went head-to-head in the 400m heats. On this occasion, Andrew got the better of Irish Universities outdoor Champion Adam when running a personal best of 47.48secs to make the final, where he finished in 6th place in 48.36secs. Andrew ran 48.37secs in the semi-finals but unfortunately didn’t advance to the final. Jonathan Browning (Ballymena & Antrim AC) had an impressive series in the 100m running 10.65secs in the heats, 10.75secs in the semi-finals and 10.88secs to finish in 7th place in the final. Amy Foster (City of Lisburn AC) won her 100m race in 11.54secs, edging out Olivia Borlee of Belgium on the finish line. Earlier in the day Amy qualified for the final round with 11.69secs in her heat. Jason Smyth (City of Derry AC) had two very encouraging runs to open his season with 10.47secs and 10.45secs in the competitive men’s 100m event. The Paralympic Champion will race again on Wednesday where he will be hoping to improve on this time. Meanwhile, in Pavia (Italy), Northern Ireland Commonwealth Games star Jason Harvey kicked off his season in impressive fashion. The Crusaders AC man recorded a useful 52.04secs to secure 1st place in the 400m hurdles. Closer to home, another Northern Ireland Commonwealth Games athlete, Danny Mooney (Letterkenny AC) claimed a podium spot at the North West 10k in Letterkenny, County Donegal (Ireland). Danny recorded 33:27 for 2nd place behind fellow Letterkenny AC man Ciaran Doherty, who broke the tape in 31:59 (1st place). In Limerick (Ireland), local athletes performed well at the annual Ballyhoura Trail Marathon and Half Marathon events, organised the Monster Mountain Running Association. These are challenging 26.2 mile and 13.1 mile routes which traverse forest track, open mountain and riverbanks through the scenic Ballyhoura landscape and organised in conjunction with the Irish Mountain Running Association and the Ballyhoura Bears. In the marathon event, Seapark AC’s Gillian Cordner continued her recent run of good form, making it two podium places in as many weeks when she crossed the line in 5:03:51 (3rd place). In the half marathon, North Belfast Harriers’ Helen Weir sealed a top ten spot when taking 6th place in 2:08:12. On Saturday 30th April 2016, athletes from Northern Ireland were in action at a number of prestigious events outside the province. This included the famous HOKA Highland Fling in Scotland, the Yorkshire 3 Peaks Mountain Race in England and the IMC opener in Greystones (Ireland). The performance of the weekend came from Northern Ireland man and Ireland international athlete Eoin Lennon (Carnethy HRC) at the HOKA Highland Fling in Scotland. The 53 mile event which attracts athletes from Northern Ireland on an annual basis and sets off from Milngavie railway station, just north of Glasgow at 6am. Runners head north, past Loch Lomond and along the famous West Highland Way to Tyndrum. This year, the race incorporated the Scottish Ultra Running Championships and British Ultra Trail Championships, as well as being the trial race for the Great Britain & Northern Ireland trail running team for the upcoming IAU Ultra-Trail World Championships in Portugal (October 2016). Up against the talented field, Scotland based Eoin produced a memorable performance to secure a brilliant 5th place finish, leading the Northern Ireland competitors home in 7:27:51; this was his best time over this tough course. Orla McElroy (BARF) was the first of the local ladies to cross the finish line in 12:02:59, taking 68th place in the ladies race. Donnie Campbell (Unattached) took the men’s title in 6:51:06 (1st place), while Beth Pascall (Raidlight UK) sealed victory in the ladies race in a new course recorded of 7:52:53 (1st place). Meanwhile, in England, several Northern Ireland based athletes took to the start line of the iconic ‘3 Peaks’ Mountain Race. The event starts in Horton, takes in the summits of Pen-Y-Ghent, Whernside and Ingleborough before returning to the finish line in the countryside town (Horton). With in-excess of 23 miles and approximately 1,600 metres of ascent and descent, the race will be a good test for the local competitors. Northern Ireland and Ireland international Justin Maxwell (East Coast AC) was the first of the local athletes to reach the atmospheric finishing field. Justin, who is training for several longer distance events over the summer, completed the route in 3:58:36 (168th place). BARF’s Northern Ireland international Jacqui Toal was the first NI based lady to finish, clocking 4:28:30 for 29th place in the ladies race. The event was won by Team Salomon athlete Marc Luaenstein in 2:48:58 (1st place), while Victoria Wilkinson (Bingley Harriers & AC) claimed the ladies top prize in 3:26:47 (1st place). Closer to home, a number of athletes from Northern Ireland travelled south to the Wicklow area of Ireland for the IMC season opener, the Greystones Track & Field Meeting, an event which attracted a plethora of talent from all over Ireland and the UK. Amongst the top performances by Northern Ireland based competitors was that of in-form World Masters and European Masters 800m Champion Kelly Neely (City of Lisburn AC). Kelly lined up in the mixed male and female 1500m ‘B’ and recorded an excellent 4:19.14 for the distance. NI & Ulster 5k medallist Joanne Mills (Newcastle AC) also raced over 1500m, competing in the ladies event. Joanne clocked 4:41.25 to take 2nd place behind race winner Fiona Kehoe (Kilmore AC), who crossed the line in 4:28:33 (1st place). Willowfield Harriers’ Ryan Henry took 2nd place in the 400m ‘B’ race, covering the one lap in 52.95secs. The race was won by Finn Burke-Power (Celtic DCH) in 51.07secs (1st place). To the local running fraternity, the May Day Bank Holiday means only one thing, the Deep RiverRock Belfast City Marathon! It’s that time of the year again, when tens of thousands of athletes take to the streets of Belfast (and Newtownabbey) for Northern Ireland’s biggest running event. Following on from the iconic Virgin London Marathon, which attracted hundreds (if not thousands of local runners to England), it’s Northern Ireland’s turn to host our 26.2 mile classic. Although BCM will be the main focus of the upcoming long weekend, there are other events taking place. This includes the Slieve Gullion 10k trail race, the prestigious HOKA Highland Fling in Scotland and the IMC Greystones Track & Field Meeting in Ireland. Meanwhile, Northern Ireland will also be represented at the 3 Peaks Mountain Race in England. On Saturday 30th April 2016, with no fixtures on the Athletics NI calendar, all local eyes will be on the Irish Milers Club (IMC) season opener, the ever popular IMC Greystones Track & Field Meeting in Ireland. The fact that the Belfast International (Saturday 7th June 2016) is the next fixture on the IMC calendar adds further hype to this event. In-form World Masters and European Masters 800m Champion Kelly Neely (City of Lisburn AC) will be in action. Despite Kelly’s focus being on the track this year, she stepped onto the roads last week at the Queen’s 3k, winning in an impressive 9:49. The Northern Ireland Commonwealth Games athlete will prove hard to beat here. Joining Kelly at Greystones will by former Junior star Aislinn Crossey (Newry AC), NI & Ulster 5k medallists Rachel Gibson (North Down AC) and Joanne Mills (Newcastle AC). Scott Rankin (Foyle Valley AC), James Hamilton (Ballymena Runners), Ryan Henry (Willowfield Harriers), Maeve Lavery (City of Lisburn AC), Roseanna McGuckian (City of Lisburn AC), James O’Hare (East Down AC) and Stephen McGahey (City of Derry AC) add further quality to the start list. A full list of entries is available HERE. Early on Saturday 30th April 2016, at least eighteen runners from Northern Ireland will travel to Scotland to take part in the sold out HOKA Highland Fling. The event sets off from Milngavie railway station, just north of Glasgow at 6am. Runners will head north, past Loch Lomond and along the famous West Highland Way to Tyndrum. This event is a 53 mile trail race and incorporates the Scottish Ultra Running Championships and British Ultra Trail Championships, as well as being the trial race for the Great Britain & Northern Ireland trail running team for the upcoming IAU Ultra-Trail World Championships in Portugal (October 2016). Amongst those taking part from Northern Ireland will be Eoin Lennon (Carnethy HRC), a podium finisher at the Garmin Mourne Skyline Mountain-Trail Race last October (2015). Eoin has continually impressed through 2015 and into 2016, including an impressive victory at the Wicklow Way 51k Ultra (Ireland) in March – he also ran well at the 2015 HOKA Highland Fling and will be in contention against top talent such as UTMB winner Jez Bragg (The North Face / Bournemounth AC), World 24 hour medallist Robbie Britton (Profeet / North Norfolk Beach Runners), 2014 Garmin Mourne Skyline MTR winner Kim Collison (Team Raidlight), Joe Symonds (Shettleston Harriers / Team Salomon), former English International Mountain runner Martin Cox (Salford Harriers) and Irish International and Lakeland 100 winner Paul Tierney (Ultimate Direction / Beta Running). In addition to Eoin, another athlete to look out for is former Northern Ireland international masters cross country runner, Steve Cairns (Tynebridge Harriers), who will compete in ‘the fling’ for the second time. Steve, who now lives in Scotland, is an accomplished marathon runner, with a personal best of 2:29:00. In 2015 Steve decided to step up in distance and will no doubt be well prepared and suited to this type of event. As usual, there will be a large showing from BARF (Belfast Association of Rock Climbers and Fell Runners) with Gerry Kingston, Joanne Curran, John McBride, Ian Taylor and Fred Hammond all entered for the Belfast club. The experienced and always impressive Newcastle AC trio of Mark King, Dominic McInerney and Stephen Wallace are also on the list of starters, that said, Stephen (Wallace) has been injured and may decide to sit this one out. Ultra-running friends Amy Beggs (Unattached) and Orla McElroy (Unattached), as well as Seapark AC pair Gillian Cordner and Gary Connolly will also take on the challenging, but scenic route – both Gillian and Gary are also set to race in Belfast on Monday! Greg McCann (LVO), who completed the tough Mourne 500 route in recent years and former Northern Ireland International mountain runner Tish McCann (LVO) will both run well, as will Orangegrove AC athlete Michael O’Donoghue and off-road enthusiast Martin Lilley (Unattached). Also on Saturday 30th April 2016, several Northern Ireland based athletes will travel to Yorkshire to participant in the iconic ‘3 Peaks’ race. The event starts in Horton, takes in the summits of Pen-Y-Ghent, Whernside and Ingleborough before returning to the finish line in the countryside town (Horton). With in-excess of 23 miles and approximately 1,600 metres of ascent and descent, this race will be a good test for the local competitors. Northern Ireland and Ireland international Justin Maxwell (East Coast AC) will start as he works his way back to full fitness, while BARF men Trevor Wilson and Alan Shealy will also perform well. Northern Ireland international’s Hazel McLaughlin (Lagan Valley AC) and Jacqui Toal (BARF) should finish well up the rankings in the ladies event. On Sunday 1st May 2016, Slieve Gullion Runners will host their annual Slieve Gullion 10k trail race in County Armagh. The event will take place within the confines of the scenic Slieve Gullion Country Park close to Newry. Although pre-registration is closed, entries will also be accepted on the day from 8.30am. The race will start at 10am. Bank Holiday Monday (Monday 2nd May 2016), will bring the 35th annual Deep RiverRock Belfast City Marathon. The popular and always well attended event will attract approximately fourteen thousand competitors and even more spectators to the streets of Belfast and the neighbouring council area of Newtownabbey, as athletes from all over the world cover an undulating 26.2 mile route in search of top honours, personal bests and personal achievements. The biggest sporting event in the NI calendar has again lived up to expectations with some 2,700 racing in the 26.2 mile event and another massive entry of some 2,000 five person relay teams, many of whom will be raising funds for this year’s official charity Mencap. Reigning Champion Joel Kipsang (Kenya) will return to defend his title and attempt to complete a hat-trick of wins at the event. After winning in 2014, Joel was pipped to top spot by Freddy Sittuk in 2014, but returned twelve months ago to win in 2:19:39 – He (Joel) made no such mistake in 2015 when he broke away with two miles to go from rival Gideon Kimosop (Project Africa Athletics), who has recently been prominent in local races with wins in the Larne and Omagh Half Marathons. Joel enjoyed a one minute victory margin and immediately declared he was going for a third victory this year. He certainly starts as favourite again particularly following his classy fourth place finish in a marathon in Germany last autumn, where he recorded 2:13:15 for the distance. While the aforementioned 2015 runner up Gideon Kimosop has unfortunately been side-lined by injury, Joel will need to keep a wary eye on highly talented youngster Zeleke Bekele of Ethiopia. The 19 year old just lost out by one second in his marathon debut in China, where he ran a useful time of 2:15:23. Also making a welcome return to Belfast are Tamas Nagy (Hungary) who was third last year plus Morroco’s Musafa Channi who claimed fifth place twelve months ago. Podium finisher at last year’s Belfast City Half Marathon, Daniel Tanui (Project Africa Athletics) has a half marathon personal best of 1:03:00, set in Cardiff last year (2015) – Daniel’s marathon debut was in Dublin in October 2015, where he recorded 2:18:46. Another Project Africa Athletics athlete, Eric Koech (Kenya) is worth watching after a 2:16:33 finish in Nairobi late last year – this is Eric’s fifth marathon but his first outside his native Kenya. English athlete Jarlath McKenna (Bristol & West AC) is a useful competitor and one that will certainly challenge for a place in our around the top five; as long as he has recovered from a heroic effort in London last week. At the Virgin Money London Marathon, Jarlath slashed over five minutes off his 26.2 mile best, crossing the line in 2:24:12 – interestingly, he only ran his first marathon in 2012, clocking 3:13:29! An abundance of local talent will again take on pacing duties, but looking at those racing… Ben Morrow (Ballymena Runners) looks like the pick of the bunch. The Glenarm native covered the classic distance in 2:39:26 back in 2013 and in truth, he looks in even better shape now, especially taking into consideration his personal best and podium place at the Larne Half Marathon in March; there, Ben ran 1:13:42. Delfim Pimentel (Unattached), James Turtle (Ballymena Runners), Phelim McAllister (Larne AC), David Proctor (Willowfield Harriers), Garry Morrow (Willowfield Harriers), Dave Lonnen (City of Lisburn AC), Mark Walker (Unattached), Colin James (East Antrim Harriers), Barry Shanks (St Peter’s AC) and Simon Reeve (North Belfast Harriers) all have the ability to go under the sub three hour mark. Away from the competitive end of the spectrum, Bangor born marathoner Michael Pentland, who has lived in America for 30 years, will return home to complete his 100th marathon at the Deep RiverRock Belfast Marathon. Michael will be raising funds for Abaana, a charity who work with children living in poverty in Uganda. Just like the men’s event, the ladies Champion Behran Gebremichael (Ethiopia) will return to defend the crown she won so impressively in 2015. The 29 year old is firm favourite to win again particularly as her current form would indicate that she is in excellent shape. Behran has won every marathon in which she has participated in to date, starting with India in February 2015 (2:39:11), Belfast (2:40:57) and Castellon in Spain last December (2015), where she recorded a huge personal best for victory in 2:36:31. A year ago in Belfast, Berhan defied the windy conditions to run with the top ten men for a large part of the race. She finished eighth overall some ten minutes ahead of the next woman in the fourth fastest time in the 34 year history of the event. The Ethiopian said she could have broken the course record of 2:36:49 had she had the services of a proper pacemaker. Her top form, as shown in Spain, would indicate that the record might be under threat this Monday. The only thing which would prevent Berhan from winning this Bank Holiday spectacular is complacency. Hungarian athlete Katalin Garami, a third place finisher here last year, will also return, as will the highly respected English athlete Shona Crombie-Hicks, who took second place at the Belfast Marathon in 2014 – Shona will be hoping to improve on her 3:03:37 from last year. Ethiopian Fantu Jifar should also be there or there abouts, while former Irish Olympian Catriona Jennings (Rathfarnham WSAF) may have one last attempt at achieving the Rio Olympic marathon standard of sub 2:40:00; should she do this, Catriona is likely to secure a podium place. Interestingly, Catriona’s personal best of 2:36:14 is quicker than race that of favourite Behran Gebremichael – it’s also quicker than the course record! Mourne Runners star Laura Graham will take to the start line just over a week after an exceptional run at the Virgin London Marathon, where she slashed over eight minutes off her previous marathon best when crossing the Mall finish line in 2:48:03. Laura has the potential to be amongst the top finishers here, depending of course on how well she has recovered from the VLM experience. Scotland based NI lady Clare MacAuley (Ballyhouston Harriers) will be worth watching, as will Judith Lonnen (City of Lisburn AC), who will take on the distance for the first time. Sisters Hazel Smyth (Dumfries AC) and Susan Smyth (Dromore AC) will be amongst the top finishing local athletes – the same could be said for the always impressive Gillian Cordner (Separk AC) who claimed a podium place at the Royal Canal Ultra in Longford last weekend after covering the 33 mile route in 4:41:00. Fiona Prue (Ballydrain Harriers), Laura Bateman (Unattached), Helena Dornan (Ballycastle Runners), Mary Rutledge (Enniskillen Running Club) and Natalie Bowbanks (Unattached) should all finish well up the field. 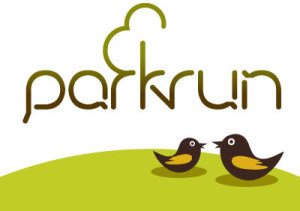 As always, Northern Ireland’s twenty three parkrun events will take place this weekend, for more information on these, or to locate your nearest event, please visit our dedicated ‘parkrun’ section within our fixtures page. On Thursday 28th April 2016, nearly two hundred athletes turned out for Race 3 of the ongoing Hill & Dale Series hosted by County Down based club Newcastle AC. On this occasion, competitors travelled to Kilbroney Forest Park in Rostrevor for the Slieve Martin race, which would see them cover 4.25 miles in distance, incorporating 1,740ft of ascent. The recent freezing weather meant that athletes were required to carry ‘full body cover’ for the duration of the race. Winner of Race 1, William McKee (Mourne Runners) and winner of Race 2, Zak Hanna (Newcastle AC), went head to head early on, with William leading the way on the long ascent to summit of Slieve Martin; young Zak was just behind. Behind, Barry McConville (Newcastle AC), Matthew Hewitt (East Coast AC), Colm Murtagh (Newcastle AC) and Neil Carty (North Belfast Harriers) were battling it out for the final podium place. Meanwhile in the ladies race, the strong climbing Diane Wilson (Dromore AC) led the way, with Shileen O’Kane (Lagan Valley AC) and Gillian Wasson (Ballymena Runners) in pursuit. After a fast descent, it was William McKee who was first to reach the Kilbroney Park finish line, sealing his second win in the Series in a time of 32:55 (1st place). Zak Hanna followed in 34:29 (2nd place), before Barry McConville recorded 35:34 for 3rd place. In a close ladies race, Diane Wilson marked her first appearance in this year’s Series with an impressive victory, crossing the line 40:46 (1st place). Race 1 winner Shileen O’Kane recorded 41:28 for 2nd place, while Race 2 winner Gillian Wasson completed the podium in 42:11 (3rd place). On Wednesday 27th April 2016, Springwell Running Club hosted the 4th annual running of their Purple Ladies 5k road race in Ballymoney (County Antrim). The ladies only event attracted a record number of nearly three hundred athletes, all of whom enjoyed the excellent atmosphere which the popular event has become synonymous for. Current NI & Ulster Novice XC Champion Natalie Hall (Acorns AC) looked in top form as she followed up her excellent performance at the Queen’s 5k road race last week, where she recorded 19:08, with another notable outing. The Acorns AC athlete broke the tape in 18:54 to secure 1st place. The host club’s Sonia Knox (Springwell Running Club) just about saw off club mate and 2015 Champion Gemma Turley (Springwell Running Club) to take the runners up prize in 19:13 (2nd place), before Gemma crossed the line in 19:18 (3rd place). In a close finish between Springwell Running Club duo Kerrie McIlmoyle and Alexandra Kirk, Kerrie claimed 4th place in 19:47, while Alexandra clocked 19:48 for 5th place. The reputation of the Mile continues to grow and it is therefore with great pleasure that we announce that this years ‘NiRunning Mile’ will take place on Friday 3rd June 2016. Like previous years, the ‘Mile’ will be run in conjunction with the world renowned British Milers Club (BMC) and will take place at the home of athletics in Northern Ireland, the Mary Peters Track in Belfast. The exciting race programme will be enhanced by two FREE kids ‘Fun Mile’ events (which will be coordinated by ALLSTARS SPORTS ACADEMY). These will kick off at 6.30pm… with the timed Miles starting at 7pm. As always, the timetable will include mile events for runners of all abilities, after all, EVERYONE needs a mile time! Note: The competitive timed miles are for athletes aged 8 years or older and it must be stressed that if junior athletes enter a race after 7.30pm they will race alongside senior and veteran athletes. Even if a child is over 8 years old, their athletic development should be considered before allowing them to compete over 1 mile (ie have they run a mile before?). A parent/guardian or responsible adult must accompany any athlete under 18 years of age to the event. The Kids ‘Fun Mile’ events are NOT timed. On Sunday 24th April 2016, hundreds of athletes from Northern Ireland were in action at the world’s most famous 26.2 mile event, the Virgin Money London Marathon in England. After the event and despite not participating, Belfast runners Breege Connolly (North Belfast Harriers) and Kevin Seward (St Malachy’s AC) took major steps closer to selection for the Rio Olympics. This was due to the fact that no Irish athletes who did toe the line ran faster than their existing times which continue to make them firmly eligible for selection on the three person Ireland marathon teams for this summer’s Olympics which are expected to be announced on Monday 23rd May 2016 and London was therefore a key event for registering fast times particularly given the perfect conditions. Kevin is currently the fastest Irish male with a time of 2:14:52, while Breeg remains the third fastest lady with 2:37:29 from London in 2015. Breege’s main rival yesterday was Ireland based athlete Clare McCarthy who dropped out at the 30k mark. Maria McCambridge will make a final effort to qualify in the Riga Marathon in mid-May. Looking at those who did race in London, two other NI ladies had outstanding runs. Always improving Dublin Marathon bronze medallist and Mourne Runners athlete Laura Graham (pictured below) finished in a superb 16th place in the non-elite race with a time of 2:48:03. The 30 year old Larne and Omagh Half Marathon winner raced to a bronze medal only two weeks ago in the Titanic 10k and slashed an amazing eight minutes off the time she ran at the Dublin Marathon in October 2015. Scottish based Fionnuala Ross (Armagh AC) was close behind in 21st place after crossing the Maill finish line in 2:49:57. The future of NI ladies marathon running appears to be in good hands with these two following Breege and North Belfast Harriers team mate Gladys Ganiel O’Neill who ran under 2:39:00 at the Seville Marathon recently. In the men’s race, two other NI athletes made valiant efforts to achieve the cut throat sub 2:15:00 time requirement necessary for selection for Rio. For a long time it appeared this could be possible for Belfast’s Stephen Scullion (Unattached) and Thomas Frazer (St Malachy’s AC), plus Sean Hehir of Rathfarnham WSAF; the trio stormed through the half way mark within thirty seconds of each other in under 1:07:00. However this breakneck pace eventually told and all three slowed in the closing stages with Sean eventually forging ahead of his rivals. His first place finish in the non-elite category in a personal best of 2:17:20 was scant consolation as he will now miss Rio selection. Thomas finished in a solid 3rd place in the non-elite section in 2:19:17. One of the most impressive performances of the day came from Stephen Scullion’s superb personal best time of 2:20:39 in only his second marathon which knocked a massive fourteen minutes off the time he ran in Belfast four years ago. The highly talented 27 year old was selected in the past for the Commonwealth Games over 1,500 metres back in 2010. Kenya’s defending champion Eliud Kipchoge won the men’s race in an outstanding time of 2:03:05, which was the second fastest ever and only eight seconds off the World Record. Victory in the ladies race went to the brave Jemima Sumgong of Kenya in 2:22:58; Jemima recovered from a bad fall earlier in the race to come through and seal top spot. Young athletes from Northern Ireland also achieved impressive results at the London Mini-Marathon. In the first race of the day Jack Agnew, the wheelchair team captain set the scene by taking the Under 17 boys wheelchair race against stiff opposition, Jack is still eligible for this competition next year. Hot on Jack’s heels in the Under 14 race was Andrew Greer competing in his first London Mini Marathon, and what a performance from Andrew, just pipped on the line for the win. So from two races, Northern Ireland had a gold and a silver. Was there more to come? Next up was the Under 17 boys and here the team captain James Edgar did not disappoint. The City of Lisburn AC man took a brilliant 3rd place in what is the hottest road race in the UK. Craig McMeechan also performed well, finishing in 8th place. There was more glory to come in the final race of the day, the Under 13 girls, where Amelia Kane led from gun to tape to take this very prestigious title. Amelia follows in the footsteps of Rio bound Ciara Mageean who took this title in 2010. Note: Some content for the above article was taken from the Athletics NI website. On Saturday 23rd April 2016, some of the country’s top mountain runners descended on the scenic Kilbroney Park in Rostrevor for the second race of this year’s Northern Ireland Mountain Running Association (NIMRA) Championship, ‘The Fallows’ Mountain Race. The event is a medium distance course in terms of NIMRA regulations – it measured 10 miles in distance and incorporated approximately 800 metres of accumulative ascent. As expected Mourne Runners man and winner of the NIMRA Championship opener in Glenariff last month (March 2016), William McKee, played a prominent part at the head of the talented field of participants. The in form athlete, who was named in the Northern Ireland international team for the upcoming Inter-Countries Mountain Running Championships in Wales, featured at the front from the start. In the early stages, William had Tommy Simmons (North Belfast Harriers), a relative newcomer to mountain running, on his tail, with both men climbing strongly. Behind, a chase pack which included the likes of previous winner Deon McNeilly (Newcastle AC), Hill & Dale Tollymore winner Zak Hanna (Newcastle AC), David Hicks (Newcastle AC) and the in-form Sam Herron (Mourne Runners) were also running well. As the field approached the highest point of the race, William showed his strength and moved clear, opening a gap that he would go on to further increase on the fast trails around the mountain top. He (William) descended relentlessly, moving clear of his rivals to make it two wins from two NIMRA Championships events in 1:14:00 (1st place). On the trails, the fast improving David Hicks moved from the chase pack and passed the tiring Tommy Simmons to secure 2nd place in 1:18:17. Tommy battled hard on the run in, staving off a challenge from Zak Hanna to complete the top three in 1:19:36 (3rd place). In the ladies race, the always impressive Shileen O’Kane (Lagan Valley AC) led early on, but as the climb meandered through the forest, Garmin Mourne Skyline MTR 2015 winner Diane Wilson showed exceptional power, moving into the lead and dealing with the ascent well to take up a position at the head of the female pack. After reaching the top in the lead, there was no stopping Diane as she negotiated the forest paths well before descending to secure victory in 1:30:45 (1st place). Despite her efforts and excellent performance, Glenariff Mountain Race winner Shileen was forced to settle for 2nd place in 1:33:23. BARF’s Jacqui Toal ran well throughout and was rewarded with a podium place after crossing the line in 1:39:40 (3rd place). Also on Saturday 23rd April 2016, the Ballynahinch Lions Club played hosted to well over one hundred runners for their annual Ballynahinch 10k. The long standing and popular event has always attracted athletes preparing for Spring marathons and with just over two weeks until the Belfast City Marathon, it provided the perfect opportunity for a final ‘tune up’ race; the revised, flatter course (without the steps) has impressed the masses over the last couple of years. In saying that, it was athletes with no intentions of covering 26.2 miles who excelled. After a fast start, Jonny Steede (Glens Runners), Stephen Duncan (Omagh Harriers), Andrew Agnew (Annadale Striders), David O’Flaherty (Newcastle AC), Martin Wilcox (East Down AC) and Martin Melville (Newcastle AC) led the field. Not long after, this lead group dropped to four men, with Stephen, David and Andrew moving clear. At half way, there was barely nothing between David O’Flaherty, Stephen Duncan and Andrew Agnew, with Jonny Steede approximately twenty seconds behind. In the ladies race, pre-race favourite Laura Bickerstaff (Dromore AC) looked to be in top form, with over a minute splitting her and the chasing duo of Geraldine Quigley and Amy Bulman; the ladies also had Kyla Henderson (Unattached) for company as they moved into lap two. It looked as if Stephen Duncan, David O’Flaherty and Andrew Agnew would occupy the podium place, but unfortunately Andrew was forced to withdraw in the latter stages. This meant that Stephen, who only moved clear of the ever improving David O’Flaherty in the final eight hundred metres, won in 32:21 (1st place). David took 2nd place in 32:29, approximately three minutes quicker than his finishing time here last year. Jonny Steede completed the route in 34:04, which saw him take 3rd place. Dromore AC’s Laura Bickerstaff produced a stunning second half to lead the ladies home comfortably. The emerging athlete clocked 39:40 for 1st place and was followed across the line by Geraldine Quigley and Amy Bulman, who recorded 41:50 (2nd place) and 42:15 (3rd place) respectively. Weekend Preview: London is calling as VLM takes centre stage! Weekend Preview: London is calling! The longer, brighter nights bring with them a busy midweek schedule, and this week has really seen that kick off, with the Athletics NI and North Down Open Track & Field Meetings. Round 2 of Newcastle AC’s Hill & Dale Series also proved as popular as ever, but the highlight of the last few days was of course the Deep RiverRock Queen’s 5k and the associated 3k road race. As much as we enjoy reminiscing, especially over the top quality action and the nice weather that came with it, it’s time to look forward – look forward to another action packed weekend which will bring several excellent local events. However, arguably the most notable race of this weekend for local athletes is the infamous Virgin Money London Marathon, which will lead to a mass exodus of local runners to England for the weekend. Those who remain will be in for a treat though, with the Fallows Mountain Race, Ballynahinch 10k and Kernan Running Club’s inaugural Portadown 10k taking centre stage. These will be the focus of our weekend preview, but there are other events taking place, including Round 1 of the Youth Development League, Cormac Run 10k and the Lisburn Relays. On Saturday 23rd April 2016, a large number of the country’s top mountain runners will descend on the scenic Kilbroney Park in Rostrevor for the second race of this year’s Northern Ireland Mountain Running Association (NIMRA) Championship, which is again sponsored by local company Podium 4 Sport. ‘The Fallows’ is a medium distance course in terms of NIMRA regulations – it measures 10 miles in distance and will incorporate approximately 800 metres of accumulative ascent. If the Championship opener in Glenariff is anything to go by, William McKee (Mourne Runners) is the man to look out for, but in saying that, he may have to hold off athletes such as Allan Bogle (City of Derry AC), Tommy Simmons (North Belfast Harriers) and Sam Heron (Mourne Runners), as well as returning veteran Deon McNeilly (Newcastle AC) if he is to take the victory here. The Kilkeel man had a very successful winter and sprinted to victory at the aforementioned Championship opener in Glenariff (March), just ahead of orienteer and runner Allan Bogle. Allan then went on to finish one place ahead of William at the Northern Ireland round of the British Fell Running Championships, the Donard-Commedagh Horseshoe, two weeks ago. Allan secured tenth place with William following in eleventh. 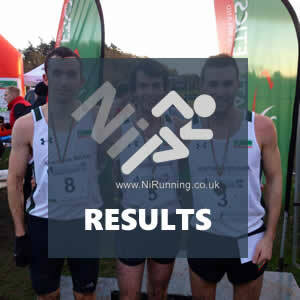 Since then, Spartan athlete Allan has struggled to run due to a cut sustained during the challenging event, whereas William cruised to victory in the Newcastle AC Hill & Dale Series opener at Castlewellan. The evergreen Deon McNeilly, runner up here in 2015 and a winner of the race in 2013 and 2014 is another contender. Despite still working his way back to full fitness, the Newcastle AC athlete will definitely be in the mix should he decide to toe the line. Likewise, fellow Newcastle AC man David Hicks, who was runner up at last night’s Hill & Dale Series event in Tollymore and North Belfast Harriers athlete Tommy Simmons, can both climb well and have the pace that suits this course. 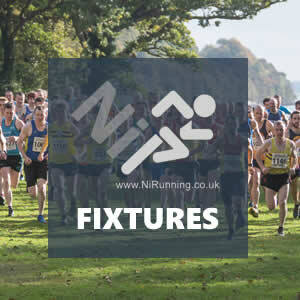 Should Mourne Runners men Sam Herron, Dale Mathers and Clive Bailey or Newcastle AC trio Barry McConville, David Simpson and David McNeilly decide to race, they could all be in contention – Sam in particular has been showing good form of late. In terms of the ladies race, Shileen O’Kane (Lagan Valley AC), Ballymena Runners duo Paula McAllister and Gillian Wasson, Mari Troeng (Newcastle AC) and Hazel McLaughlin (Lagan Valley AC) will all be suited to this predominately trail event. Northern Ireland International pair Diane Wilson (Dromore AC) and Sam McNeilly (Newcastle AC) cannot be ruled out either. Current NIMRA Champion Shileen O’Kane has been running well recently, competing well over most terrains. Shileen raced to victory in Glenariff in March, before finishing well up the field in the Donard-Commedagh Horseshoe event. Probably the most appropriate show of form was her win at the Castlewellan Hill & Dale Series event a week ago, where she (Shileen) took top spot on the podium, ahead of some speedy talent. Paula McAllister and Gillian Wasson have both made the podium recently with Gillian won last night’s Hill & Dale event in Tollymore and finishing as runner up in both the Glenariff Mountain Race and the Castlewellan Hill & Dale Series event; she (Gillian) finished behind Shileen on both occasions. Meanwhile, Paula claimed third place in Tollymore last night, the same position that she occupied in Glenariff last month. At the start of this month (April), Paula showed good speed late on in the NiRunning ‘Killylane Klassic’ trail race to take the win. Former NIMRA Champion and winner of The Fallows in 2015, Diane Wilson is coming back to running following a winter of Cyclo-Cross racing.Diane led the Northern Ireland ladies over the Donard-Commedagh course and although her talents lie on the steeper rougher terrain, the Dromore AC athlete cannot be ruled out here. Winner of the Slieve Gullion event in March, Mari Troeng, competed well against top opposition at the Donard-Commedagh British Championship race and will enjoy this course; she’ll also be in high spirits after taking second place at Tollymore last night. Hazel McLaughlin is another who ran well at the British Fell Running Championships and will be suited to this course. Sam McNeilly is a consistent performer and a lady who could make the podium here – Sam competed well for the successful Newcastle AC Cross Country team over the winter months and can use that strength and speed in the latter stages of The Fallows course to her advantage. Also on Saturday 23rd April 2016, the Ballynahinch Lions Club will welcome athletes from across the province to their annual Ballynahinch 10k. The long standing and popular event has always attracted athletes preparing for Spring marathons and with just over two weeks until the Belfast City Marathon, it provides the perfect opportunity for a final ‘tune up’ race; the revised, flatter course (without the steps) has impressed the masses in over the last couple of years. It’s hard to look past former NIMRA Champion Jonny Steede (Glens Runners), who will opt to race here instead of The Fallows. Jonny looked in good shape at the NiRunning ‘Killylane Klassic’ where he secured a second place finish behind winner Mark McKinstry (North Belfast Harriers) earlier this month. The only potential challengers to the Northern Ireland and Ireland international are Newcastle AC duo David O’Flaherty and David Simpson if they decide to make use of the on the day entry system. North Belfast Harriers pair Paul Horan and Mark Jennings may also travel after enjoying good outings here in 2015 – they finished in sixth place and seventh place respectively, but will challenge for a podium place this time around if they race. Larne AC’s Billy Thompson and Bernard Brady will finish well up the field and will be category prize contenders, as will Paul Carroll (Annadale Striders) and Joe Quinn (East Down AC). In the ladies race, there will be an interesting battle between Dromore AC’s Laura Bickerstaff and Ballymena Runners’ Geraldine Quigley. Laura clocked 10:34 to take fourth place at the Queen’s 3k on Wednesday, while Geraldine took on the 5k and crossed the line in 19:39, helping her team to an NI & Ulster silver medal. Kirsty Sharratt (Unattached) will hope to continue her good run of podium places, but the Larne based athlete will be up against the likes of Niamh Kellett (East Down AC), Niamh O’Connell (Murlough AC), Amy Bulman (Unattached) and Paula McKibbin (Murlough AC). In County Tyrone on Saturday 23rd April 2016, hundreds of runners and exercise enthusiasts are expected to turn out in support of the Cormac Run 10k road race and associated 5k run. The event is organised by The Cormac Trust in the hope of raising much needed funds for their organisation, who promote awareness in relation to Sudden Cardiac Death in the Young. Despite the charity aspect to the event, there will be a competitive edge and ultimately a race to be won! If he races, former North Belfast Harriers man and Termoneeny RC new boy Tommy Hughes will play a part at the front. Delfim Pimentel (Unattached) and Michael Kerr (Carmen Runners) could also feature, while Dromore AC’s Richard Hand and Belfast Running Club’s Thomas Young will definitely start. Up and coming Armagh AC athlete Kathryn Rafferty will be hoping to impress after an excellent run at the Run Armagh 10k last week, where she finished in second place. Stephanie Henry (Sperrin Harriers), Orlaith Kirk (Belfast Running Club), Maeve Doherty (Lifford-Strabane AC) and Patricia McElduff (Carmen Runners) should finish well up the field. On the same day (Saturday 23rd April 2016), some of Northern Ireland’s most talented up and coming athletes will take to the track (and field) at Antrim Forum in Antrim for Round 1 of the Northern Ireland Youth Development League 2015. The junior competitors will race over a variety of distances and the event programme, which kicks off at 10am, will also incorporate races for senior athletes as well. On Sunday 24th April 2016, Portadown based Kernan Running Club will host the inaugural running of their Portadown 10k, an event which should attract several hundred competitors. The race will start and finish at ‘The Peoples Park’ in Portadown and take in a relatively Town Centre based route, which should prove popular. Following his impressive outing at the Run Armagh 10k last weekend, Gary Henderson (Armagh AC) could well make use of the proximity of this event as he looks to continue his path back to full fitness. The former football player recorded 34:01 for the distance and should push closer to 33:40(ish) if he races here. There will be an interesting battle between St Peter’s AC duo Gerard Heaney and Mark Cornett and Dromore AC’s emerging Stephen O’Gorman. All three raced at the Queen’s 5k, finishing within thirty eight seconds of each other – Gerard was the quickest with 16:12, followed by Stephen in 16:27 and Mark in 16:50. Armagh AC’s Richard Turkington, a man who would have featured prominently here 5-6 years ago, will start and should still finish well up the field. The ladies race could attract St Peter’s AC star Patricia O’Hagan. Patricia has raced sparingly over the last couple of years, but has the talent to dominate things here – her 31:49 finish for second place at the recent Beragh 5 mile road race proved that she (Patricia) is in relatively good shape! Local athlete Louise Smith (North Belfast Harriers), who won the Run Armagh 10k, could also start, which would make for an excellent dual. Grainne Crilly (St Peter’s AC), Valerie Martin (Ballydrain Harriers) and Nicola Wylie (PACE Running Club) will all run well. In Lisburn on Sunday 24th April 2016, local events management company Atlas Running will host the Lisburn Relays in the city’s Wallace Park. The event will feature races for Under 13, Under 15 and Under 17 athletes as well as senior competitors. East Down AC and Dromore AC look to be well represented in the pre-entry list but it is expected that large numbers will turn out on the day. Full details of the event are available HERE. Also on Sunday 24th April 2016, hundreds if not thousands of runners from Northern Ireland will be in action at the World’s most famous race, the Virgin Money London Marathon in England. Annually, the event attracts in excess of 38,000 participants and is always popular with the local running fraternity. Considering this is an Olympic year, the race has extra importance for those who may be chasing qualifying standards. There has been a lot of talk this week about potential selections for the Irish marathon team for Rio after the withdrawal of Paul Pollock (Annadale Striders) from this race – our article in relation to this can be found further down this ‘News’ page. In relation to those running, familiar faces such as Stephen Scullion (Unattached) and Thomas Frazer (St Malachy’s AC) will be chasing the Olympic standard. According to other media sources, Titanic 10k winner Thomas will go out hard to try and bridge the two minute gap between his personal best for the distance and the required Olympic standard. Stephen on the other hand will be taking part in his first ‘competitive’ marathon – to our knowledge, his current best of 2:34:33 was recorded when he decided to finish the Belfast City Marathon after completing his pacing duties. The former North Belfast Harriers man will run much faster here and could well be a potential ‘dark horse’ in terms of achieving Olympic qualification. He recently recorded his fastest 10k in three years, running 29:58 at the ‘Hoburt Run the Bridge 10k’ in Australia. Despite it’s significant at international level, it’s not all about Rio. Many of our local runners will be out to achieve their best and to do that, they’ll take on a prominently flat and fast course around some of the City’s iconic sights, before finishing on the picturesque Mall in Central London. Neill Weir (Willowfield Harriers), Barrie Atkinson (East Down AC), Laura Graham (Mourne Runners), Ryan Armstrong (Ballymena Runners), Fiona Prue (Ballydrain Harriers), Ivan Prue (Unattached), Robin Montgomery (Orangegrove AC), Lyndsey Tyro (Orangegrove AC), Norman Mawhinney (Ballydrain Harriers), Paul Clements (Unattached), Janice White (Slemish Striders), Andy Leatham (Unattached), Richard Coey (Ballydrain Harriers), David Proctor (Willowfield Harriers), Paul Gaskell (Larne AC), Tina Davies (Dromore AC), Sharon Harvey (Ballymena Runners), Elle Forrest (Ballymena Runners), Linda Petticrew (Ballymena Runners), Seamus Kelly (Ballymena Runners), Gary Davison (Ballymena Runners), Oliver Cooke (PACE Running Club), Patricia Blair (Larne AC), Ryan O’Toole (Unattached) and David Noble (Larne AC) are just a few of the hundreds of familiar faces who will start in Greenwich Park. As always, Northern Ireland’s twenty two parkrun events will take place this weekend, for more information on these, or to locate your nearest event, please visit our dedicated ‘parkrun’ section within our fixtures page. On Thursday 21st April 2016, nearly two hundred and fifty athletes turned out for the second race of this year’s Hill & Dale Series, hosted by Newcastle AC. On this occasion, the large field were faced with a 5 mile course incorporating approximately 1,050ft of ascent, all within the confines of the expansive Tollymore Forest Park, just outside Newcastle. Zak Hanna (Newcastle AC), a podium finisher in Race 1, once again showed his potential. The young athlete was in the mix from the off and eventually sealed an impressive victory, covering the tough route it 30:28 (1st place). Zak’s Newcastle AC club mate David Hicks, who narrowly missed a top three spot at Castlewellan last week, claimed 2nd place in 30:50. Barry McConville completed a clean sweep of the men’s podium for Newcastle AC when her recorded 31:12 for 3rd place. Ballymena Runners athlete Gillian Wasson produced an excellent performance to lead the ladies home. The Northern Ireland international looked a class act as she cruised to victory in 36:10 (1st place). The always impressive Mari Troeng (Newcastle AC) made sure the host club were represented on the ladies podium when she crossed the line in 37:44 (2nd place), before NiRunning ‘Killylane Klassic’ Trail Race winner Paula McAllister (Ballymena Runners) completed the top three in 38:40 (3rd place). On Wednesday 20th April 2016, a sell-out field of nearly eight hundred athletes descended on Queen’s PEC in Belfast for the annual Deep RiverRock Queen’s ‘Race Round the River’ 5k road race, which also incorporated the NI & Ulster 5k (Road) Championships. This year saw the introduction of a 3k race, which attracted nearly one hundred competitors. In contrasting conditions to 2015, the 3k athletes kicked off proceedings in glorious sunshine; a perfect spring evening. In the early stages, Beechmount Harriers athlete Stuart Kennedy dictated the pace, with Springwell Running Club’s Luke Dinsmore just off his right shoulder. Behind, Ballydrain Harriers duo Ryan Andrews and Glen Taylor started well. Meanwhile, in the ladies race, the anticipated battle between Olympic qualifier Breege Connolly (North Belfast Harriers) and World and European Vet35 800m Champion Kelly Neely (City of Lisburn AC) had kicked off, with Breege just edging it as the athletes passed the atmospheric Stranmillis Embankment for the first time; however, there was literally less than a metre between the pair! North Down AC’s Jessica Craig was also looking strong in third place. As the athletes negotiated the final lap, Lagan Valley AC youngsters Tim Scott and Cormac O’Rourke impressively worked their way into contention – Tim had passed the now tiring early pace-setters, while Cormac was battling it out with talented veteran Stuart Kennedy for the runners up spot. In the end, there was no stopping young Tim as he sealed an excellent win in 9:42 (1st place), while Stuart just about held off Cormac, with the Beechmount Harriers man clocking 9:45 for 2nd place and young Cormac crossing the line in 9:46 for 3rd place. Kelly Neely continued what has been a superb year with another notable performance. The Commonwealth Games star surged clear of Breege Connolly in the latter stages of the race and looked unstoppable as she powered along the Stranmillis Embankment, taking 1st place in the ladies race and 4th place overall in a time of 9:49. Breege covered the distance in 10:02 (2nd place), before Jessica Craig was rewarded for her efforts with a 3rd place finish in 10:07. Next up was the iconic 5k event, which as previously mentioned, doubled up as the NI & Ulster 5k (Road) Championships. After a fast start, it was Gary Murray (Clonliffe Harriers) who settled at the front – the Titanic 10k runner up was just metres ahead of a chase group which included the likes of Scott Rankin (Foyle Valley AC), Chris Madden (City of Lisburn AC), Conan McCaughey (Derry City Track Club), Neil Johnston (Springwell Running Club), Conor Duffy (Glaslough Harriers) and Barry Harron (Finn Valley AC) as they went through the 2.5k mark. In the ladies race, Newcastle AC’s NI & Ulster XC Champion Shalene McMurray had started the race in what appeared to be the same mindset that saw her clinch the aforementioned Senior XC title in Lurgan at the start of this year; go out hard and hang on! It looked to be working as she powered through 3k well in the lead, with club mate Joanne Mills (Newcastle AC), Rachel Gibson (North Down AC), Gerrie Short (Beechmount Harriers) and Jodi Smith (North Down AC) all in pursuit. As the race progressed, Gary Murray looked to have sealed the title, slowly edging further clear of the field. That was until the final straight, when an epic battle between Chris Madden and Conan McCaughey saw the pair close in on Gary at an alarming rate, but with some encouragement from the gathered crowds, the former St Malachy’s AC man held on for victory, crossing the line in 14:51 (1st place). The in-form Chris Madden, a podium finisher at the Titanic 10k, took 2nd place a mere one second later in 14:52, before Conan McCaughey completed the top three in 14:53 (3rd place). The finale of the ladies race wasn’t just as pulsating, but that takes nothing away from another gutsy and professional outing by Shalene McMurray. The versatile athlete was rewarded for an excellent display of front running with a gold medal when she broke the tape in 17:32 (1st place), ten seconds ahead of fellow Newcastle AC lady Joanne Mills who recorded 17:42 (3rd place) for the distance. Rachel Gibson followed closely in 17:52, which was enough to take 3rd place and the associated bronze medal. In the competitive team competition, North Belfast Harriers (1st place), who were led home by Mark McKinstry in a personal best of 15:18, retained their gold medals from 2015, with Derry City Track Club and Foyle Valley AC taking 2nd place and 3rd place respectively. In the ladies team prize went to the always impressive North Down AC. Following a good outing at the AAI National Road Relays last weekend, the County Down club sealed 1st place and the associated gold medals; individual bronze medallist Rachel Gibson was their first finisher in 17:52. Ballymena Runners claimed 2nd place, while Beechmount Harriers continued their recent team medal winning haul with another set of medals; they secured 3rd place. On Wednesday 20th April 2016, a sell-out field of over eight hundred competitors will take to the streets of Belfast for the annual Deep RiverRock Queen’s ‘Race Round the River’ 5k road race. This year, the event also offers potential participants the opportunity to compete over 3k. The flat and fast 5k course starts on the Annadale Embankment at and covers two and three quarter laps (each lap measures approximately 1.8k), finishing outside the impressive Queen’s University Physical Education Centre (PEC) on the Stranmillis Embankment. As always, the race has attracted a plethora of talent. Each and every runner will start with their own hopes and expectations, but we’ll take some time to look at the front of the pack and potential winners and podium placers. In the absence of reigning Champion Paul Pollock (Annadale Striders), last year’s runner up Scott Rankin (Foyle Valley AC) should start as pre-race favourite. After recording 14:56 to edge out Willowfield Harriers’ Andrew Wright in 2015, Scott will be looking for a similarly competitive race in the hope that it can drive him towards his current personal best, which stands at 14:28. QUB AC’s very own Neil Johnston will also be there or there abouts if he can get close to the 15:06 that he clocked for the same distance on the track at the weekend; this saw Neil pick up a silver medal at the IUAA Championships. Derry City Track Club’s Conan McCaughey has also been in good form of late, claiming a new 10k personal best of 31:06 two weeks ago. Andrew Annett (North Belfast Harriers) is another man who will have one eye on a sub fifteen minutes finish after coming so close at the Armagh International, while the always impressive Conor Duffy (Glaslough Harriers), who has run well under 15:00 before, should also be in the mix. Chris Madden (City of Lisburn AC) turned a few heads with an excellent outing at the Titanic 10k, where he secured third place in 31:31 – given the confidence he will have taken from that, Chris could well be the surprise package once again! Whitehead 5 mile road race winner Stephen Prentice (Enniskillen Running Club) will also start, as will Paralympic hero Michael McKillop (St Malachy’s AC). In what is building up to be an epic race, Martin Cox (Derry City Track Club), Jonathan McKee (Springwell Running Club), Gary Slevin (City of Derry AC), Mark McKinstry (North Belfast Harriers), Chris McGuinness (Foyle Valley AC) and Seamus Lynch (Newcastle AC) will all be worth watching. On their day, any of the above men could win a local race, so given the fact that they will be aiming for a top ten spot (and personal best) here shows the shear quality of the field. Other men to look out for include, James Budde (North Down AC), Gavin Corey (Unattached), Lindsay Gordon (North Belfast Harriers), David O’Flaherty (Newcastle AC), John Black (North Belfast Harriers) and Matthew Hewitt (East Coast AC). The ladies 5k will bring just as many talented athletes to the start line as the men’s event. Defending Champion Ann-Marie McGlynn (Letterkenny AC) will be keen to complete a hat-trick of wins after securing top spot in 2014 and 2015. Ann-Marie, a runner up at the recent Titanic 10k, won here in 16:28 in 2015, but should go under that this time around, which makes it hard to look past the Rio Olympic hopeful for the win. In saying that, QUB AC athlete Emma Mitchell will be hot on Ann-Marie’s heels, and with a personal best of 16:57, she should be considered a contender; Emma will run a 5k personal best here. Northern Ireland international Rebecca Henderson (Dromore AC), Irish international triathlete Judith Lonnen (City of Lisburn AC) and North Down AC’s Rachel Gibson should also contest podium places, while Katie Moore (North Down AC), NI & Ulster Novice XC Champion Natalie Hall (Acorns AC), Dundalk 5k winner Esther Dickson (Newry AC) and AAI National Road Relay medal winning duo Gerrie Short and Catherine Diver, both of Beechmount Harriers, add class to a competitive field. Ballymena Runners pair Paula Arthur-McCarthy and Kerry Bamber will also run well, as will the likes of Sarah-Jane Guiney (Albertville Harriers), Jodi Smith (North Down AC) and Leann Gibson (Club Unknown). The newly added 3k road race, which will kick off at 6.50pm (ahead of the 5k at 7.30pm), will see an excellent battle between World and European Masters 800m Champion Kelly Neely (City of Lisburn AC), who will step up in distance, and Rio 2016 Marathon qualifier Breege Connolly (North Belfast Harriers), who will step down in distance – this will be a fantastic race! Then if you add the likes of Jessica Craig (North Down AC) and City of Lisburn AC recruit Maeve Lavery to the mix, it makes for an superb competition for the podium places. Louise Lemon (Club Unknown) and Beechmount Harriers youngster Rioghnach Catney add further depth. An interesting mix of experience and youth will play a part at the head of the men’s field in the 3k event, with veteran athletes Gary Keenan (Victoria Park & Connswater AC) and Stuart Kennedy (Beechmount Harriers) taking on a few stars of tomorrow, including Dylan McBride (Willowfield Harriers) and Luke Dinsmore (Springwell Running Club). An exciting night of competition lies ahead and organisers, Queen’s Sport AC would encourage those not racing to come out and support one of the province’s premier road races. NiRunning will be at the event, providing in race updates (phone signal permitting); a full race summary and results will be available late on Wednesday (20th April 2016) night. Paul Pollock withdraws from London Marathon but Rio dream is not over! This week, Northern Ireland and international Paul Pollock (Annadale Striders) has announced his withdrawal from this weekend’s Virgin London Marathon due to a foot injury. Unfortunately the popular athlete will have no further opportunity to better his current Olympic Marathon qualifying time of 2:15:38 and will therefore hope that selectors look at his outstanding performances at the IAAF World Half Marathon Championships in Wales last month when finalizing the team for Rio. The 29 year old doctor from Holywood picked up the aforementioned foot injury just after his fourteenth place finish at the World Half Marathon in Cardiff three weeks ago where he was the second European finisher in a classy time of 1:02:46. Paul’s Rio qualifying standard of 2:15:38 is only some twenty four seconds slower than third ranked Sergiu. If fully fit he would have been confident of beating that time this weekend – now his focus will be on satisfying selectors that he has recovered from his injury in time for this summers Olympics. The selection is due to be made on 23rd May 2016. Relying on the selectors is a risky decision but most agree that Paul’s decision to withdraw from London was a wise choice given the potentially damaging consequences a 26.2 mile jaunt could have had. Paul can take some comfort from his ‘head turning’ performance in Cardiff, in what could only be described as horrendous running conditions. The Northern Ireland Commonwealth Games star has already proved himself on the World stage, when finishing as second European at the 2013 World Championships Marathon in Moscow (Russia) where he competed in temperatures over 30 degrees to finish 21st out of 80 competitors in 2:16:42. On a positive note, it is now increasingly likely that former Belfast runner Kevin Seaward, who now lives in Cardiff, will get the nod for Rio as the fastest Irishman with a time of 2:14:52. According to other media sources, Kevin’s former St Malachy’s AC team mate Thomas Frazer, who is racing in London will be adopting a “do or die” stance in a bid to improve his personal best by over two minutes to gain selection. Also racing is Belfast’s Stephen Scullion who has a personal best of 2:34:00 – despite being relatively quiet on the racing scene for the last twelve months, the former North Belfast Harriers man will smash that time. There is also intense Northern Ireland interest in the ladies selection for Rio where North Belfast Harriers’ Breege Connolly is currently ranked third in Ireland behind Cork’s Lizzie Lee (Leevale AC) and Fionnuala McCormack (Kilcoole AC). Breege who will be racing in the Queen’s Road Race tomorrow (Wednesday 20th April 2016) has decided not to race in London and will rely on her time of 2:37:29 from London last year as sufficient to gain Rio selection. Her chances would be enhanced further if Fionnuala, a certain Irish selection for Rio, decides to race over 10,000 metres in rather than the Marathon. Given that scenario, Breege’s club team mate Gladys Ganiel O’Neill (North Belfast Harriers) could also come into consideration. The Commonwealth Games athlete is presently ranked fourth with a personal best time of 2:38:53 from Seville back in February (2016). There are just over two weeks until the 35th annual running of the Deep RiverRock Belfast City Marathon and today, Athletics NI have confirmed that double Belfast Marathon Champion Joel Kipsang of Kenya will be going for a hat trick of victories when he toes the line on Monday 2nd May 2016. The biggest sporting event in the NI calendar has again lived up to expectations with some 2,700 racing in the 26.2 mile event and another massive entry of some 1,800 five person relay teams, many of whom will be raising funds for this year’s official charity Mencap. 29 year old Joel Kipsang from the famous Rift Valley area in Kenya had a point to prove in last year’s Marathon following an impressive victory back in 2013. This was however followed by an emphatic defeat to Freddy Sittuk a year later (2014) which Joel put down to exhaustion as a result of completing four marathons in the previous eight months. He (Joel) made no such mistake twelve months ago when he broke away with two miles to go from rival Gideon Kimosop (project Africa Athletics), who has recently been prominent in local races with wins in the Larne and Omagh Half Marathons. Joel enjoyed a one minute victory margin and immediately declared he was going for a third victory this year. He certainly starts as favourite again particularly following his classy fourth place finish in a marathon in Germany last autumn, where he recorded 2:13:15 for the distance. While Gideon Kimosop has unfortunately been side lined by injury, Joel will need to keep a wary eye on highly talented youngster Zeleke Bekele of Ethiopia. The 19 year old just lost out by one second in his marathon debut in China, where he ran a useful time of 2:15:23. Also making a welcome return to Belfast are Tamas Nagy of Hungary who was third last year plus Morroco’s Musafa Channi who was fifth behind local star Eddie McGinley. The Marathon’s international flavour is also reflected in the ladies race which includes last year’s third place finisher Katalin Garami of Hungary plus team mate Helen Csonge. Belgrave’s Sophie Carter who ran a personal best of 2:48:29 in London last year 2015) is also racing. Note: Article courtesy of Athletics NI. After releasing entries for the Garmin Mourne Skyline Mountain-Trail Race 2016 just over four weeks ago, we can confirm that for the third consecutive year, we have reached our entry limit, which means (unfortunately) no further entries can be taken. Those who have entered the third annual running of the 35k race (inc 3,370m of ascent), which is part of the Skyrunning UK National Series, will have the opportunity to race against athletes from across the globe, with no less than 14 countries represented. The entry list is littered with local, national and international talent, including no less than 22 athletes who have represented their country on the international stage. Details of the ‘elite’ entries will follow in the coming weeks and months. Garmin Mourne Skyline MTR Race Director Ryan Maxwell had this to say, “Once again, we have been genuinely humbled by the support for the event – for the third year in a row the 35k event has reached capacity. 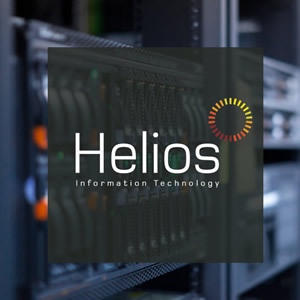 We thoroughly enjoyed 2014 and 2015, and appreciated the amazing feedback that we received. However, we will not rest on our previous success – this year, we want to move things forward another step. If you have missed out on entry for the Garmin Mourne Skyline MTR, why not race the ‘GTR’ (Granite Trail Race)? The 2 mile Uphill only event, with an ascent of approximately 1,000ft has proved very popular in the past, attracting the likes of IAAF 24 hour World Championship medallist Robbie Britton and Mont Blanc ‘Cross’ winner Paul Navesey – IAAF World Championship (Team) medallist Sarah McCormack and respected Northern Ireland international Seamus Lynch have also raced at the event and hold the respective course records. There are currently 80 places remaining in the GTR, which we also expect to sell out, so early entry is advised. Full details can be found HERE. On Sunday 17th April 2016, local athletes were travelled south to Raheny in Dublin (Ireland) for the annual GloHealth AAI National Road Relay Championships. The event, which was held in perfect running conditions, attracted eighty teams from the thirty three clubs who were represented. Of these, there were two Northern Ireland club’s in competition, with Beechmount Harriers fielding a strong Masters Ladies team, while North Down AC were represented on the Senior stage by both a men’s and ladies team. Despite a very strong performance from North Down AC ladies Rachel Gibson, Jessica Craig and Katie Moore, the performance of the day must go to the Beechmount Harriers team of Gerrie Short, Catherine Diver and Maria Morris after they sealed 3rd place and the associated bronze medal in the Vet35 category. The ladies cover the 4 mile course (1 x 1 mile, 1 x 2 mile and 1 x 1 mile) in 23:33; the closely contested race was won by Sli Cualann AC in 23:19 (1st place). The aforementioned North Down AC Senior Ladies team may not have secured medals, but their 5th place finish was a credit to their efforts in what was a competitive field. The talented trio covered their 4 mile course (1 x 1 mile, 1 x 2 mile and 1 x 1 mile) in 22:26. The race was won by Leevale AC in a brilliant 20:50 (1st place). The North Down AC Senior Men’s team of James Budde, Francis Marsh, Craig McMeechan and Dennis Scott also ran well, taking a very credible 9th place. The men, who covered 8 miles (1 x 2 mile, 1 x 1 mile, 1 x 3 mile and 1 x 2 mile) clocked 40:34 in the race won by hosts Raheny Shamrock AC in 37:26 (1st place). On Sunday 17th April 2016, nearly 500 athletes from across the province (and beyond) descended on the Cathedral City of Armagh for the 8th annual running of the Run Armagh 10k road race. The event was the third race of the inaugural NOVOSCO 10K GRAND PRIX and competitors were faced with an undulating, mainly rural course, starting close the famous Armagh Planetarium and finishing on the historic Mall. It was an interesting race, with the same three men claiming podium places as 2015. However, that took nothing away from what was a great competition. Early on, it was clear that the winner would come from one of four men, with 2015 Champion James Loftus (Liverpool, Pembroke & Sefton AC) and 2015 runner up Gary Henderson (Armagh AC) leading through 5k in 16:48. David McCoy (Reading Road Runners), who recorded 2:48:34 at the recent Manchester Marathon was next through half way, just one second later in 16:48, with St Peter’s AC athlete Gerard Heaney just behind (16:52). In the ladies race, reigning Champion Louise Smith (North Belfast Harriers) looked a class above her competition. Louise cruised through 5k in 18:38, almost two minutes clear of her nearest rival Kathryn Rafferty (Armagh AC), who in turn, had a sizeable lead on Amy Bulman (Unattached). In the second half of the race, former footballer Gary Henderson showed that he is back to full fitness as he moved clear in a valiant attempt to reverse the finishing positions from twelve months ago. This proved to be a race winning move from the local athlete as there was no further challenge from James Loftus and Gary went on to be a popular winner in 34:01 (1st place). James followed in 34:22 for (2nd place), while a strong second half from the ever improving Gerard Heaney saw him secure 3rd place in 34:33. Louise Smith continued her relentless pace through the final 5k, eventually sealing a comfortable win in 38:12; with it, the County Armagh lady retained her title. The emerging Kathryn Rafferty further impressed with a runners up spot in 41:50 (2nd place), before Amy Bulman completed the top three in 43:11 (3rd place). Full Results: Run Armagh 10k 2016 Results (Photos by Gary Albin). Over the course of the weekend (Friday 15th and Saturday 16th April 2016), students from Northern Ireland swapped their club colours for those of their University or College as they took part in the IUAA Track & Field Championships at the Morton Stadium, Santry, Dublin (Ireland). There were numerous top quality performances, but the highlight was of course the six medal winning outings by local runners. Arguably the most impressive of those was that of Adam McCombe (University of Ulster) – the North Down AC man clocked a new 400m personal best and Ulster University record of 47.84secs to take 1st place, a mere 0.01secs ahead of fellow Northern Ireland man Andrew Mellon (QUB AC), who took 2nd place in 47.85secs. Andrew did get his gold later in the day, as he was also part of the QUB AC 4x100m who sealed 1st place (no times recorded); the team also included Jonathan Browning, Gareth Thompson and Ben Maze. In the 400m hurdles, Lagan Valley AC lady Laura Frey, representing Trinity College Dublin, crossed the line in 66.71secs to take 2nd place behind race winner Kate McGowan (DCU), who won in 63.08secs (1st place). QUB AC men Jonathan Browning and Neill Johnston also collected silver medals – Jonathan clocked 10.76secs to take 2nd place in the 100m race won by Carlow IT’s Marcus Lawlor (1st place – 10.58secs), while Neill secured 2nd place in the 5,000m race won by DCU’s Keith Fallon (1st place – 15:05) after running 15:06. University of Ulster student Grabhan McKenna, an impressive performer at the IUAA Indoors earlier in the year, sealed 3rd place in the 110m hurdles, after covering the jumps in 14.92secs; the race was won by Gerard O’Donnell (Unattached) in 13.87secs (1st place). On Sunday 17th April 2016, a number of athletes from Northern Ireland were in action at the annual Convoy 10k road race in County Donegal (Ireland), an event which attracted in excess of 250 competitors. At the competitive end of the pack, Northern Ireland lady Natasha Adams (Letterkenny AC) stole the show. The SSE Airtricity 10 mile road race winner recorded an impressive 34:08 (1st place) for a solo victory. Foyle Valley AC’s Gemma McGinty claimed 3rd place in a time of 41:44. There was also success for City of Derry AC in the men’s race, with Paul McCafferty being the first familiar face to cross the line in 34:02 (2nd place); the race was won by Pauric Breslin (Letterkenny AC) in 32:08 (1st place). On Saturday 16th April 2016, several local athletes were amongst the top finishers at the prestigious Patsy Kelly 5k road race in Dundalk, Ireland. The event has proved a successful hunting ground for Northern Ireland based runners in the past and this year was not different. Recent Newry AC recruit Esther Dickson continued to her run of impressive performances with an excellent win. Esther recorded 18:46 for 1st place and was joined in the finish area less than a minute later by fellow NI lady Eimear McCracken (City of Lisburn AC), who crossed the line in 19:41 for 3rd place. In the men’s race won by Dunleer AC’s Garry Campbell in 15:25 (1st place), Tommy Simmons (North Belfast Harriers) claimed a top ten place, taking 6th place in 17:02. Orangegrove AC’s Brian Todd (84th place – 20:12) picked up the ‘Patsy Kelly Cup’, a trophy traditionally given to the first Vet60 athlete to finish. On Saturday 16th April 2016, local events management company Born 2 Run welcomed close to eight hundred athletes to the 5th annual running of their Castleward Challenge Half Marathon and 10k races, which were held within the confines of the stunning Castle Ward Estate in County Down. In the 13.1 mile event, Newry City Runners’ Northern Ireland international Don Travers was in top form as he retained his title from 2015. Don put in a strong performance to secure victory in 1:24:36 (1st place). Albertville Harriers athlete Colum Gaile took 2nd place in 1:26:00, just ahead of Richard Coey (Ballydrain Harriers), who replicated his 3rd place finish from 2015; Richard recorded 1:26:19 for the distance. Unattached athlete Ursula Campbell was a convincing winner in the ladies Half Marathon, when she broke the tape in 1:41:06 (1st place). Joanne Foster (East Down AC) followed just over two minutes later in 1:43:38 (2nd place), while Janice White (Unattached) completed the top three in 1:46:33 (3rd place). In the 10k race, it was the fast improving Martin Melville (Newcastle AC) who stole the headlines. The versatile athlete sealed the win in 37:12 (1st place), before Dermot Mathers (The Running Coaches) clocked 38:05 (2nd place) for the runners up spot. The podium places were completed by Dromore AC’s emerging trail runner Stephen O’Gorman, who crossed the line in 38:26 (3rd place). Murlough AC’s Niamh O’Connell enjoyed an excellent outing and with it, a reasonably comfortable victory over the 6.2 mile course – Niamh completed the undulating route in 47:45 (1st place). In an excellent race for the runners up prize, Jennifer Teeney (Jog Belfast Running Club) just pipped Lagan College student Jessica Scott to the finish line, with Jennifer running 48:59 (2nd place) and Jessica 49:05 (3rd place). On Friday 15th April 2016, well over one hundred athletes descended on the Maiden City of Derry/Londonderry for the 2nd annual running of the Dental Solutions 5k road race, a well-organised event hosted by Derry City Track Club. The revised flat and fast course close to the City Centre offered personal best potential and brought an excellent race. Pre-event favourites Mark McKinstry (North Belfast Harriers), Martin Cox (Derry City Track Club), Darrell McKee (Acorns AC) and Michael Crawley (Unattached) were very much in the mix, with all playing their part at the head of the pack. Likewise in the ladies event, favourites Martina McMullan (Foyle Valley AC), Natalie Hall (Acorns AC) and the host club’s Amy McDaid (Derry City Track Club) were prominent at the front; Springwell Running Club’s Gemma Turley was also part of the lead group. In the end, it was Mark McKinstry and Martin McMullan who sealed victory in their respective events. Mark led the men home in 16:06 (1st place), six seconds ahead of Martin Cox (16:12), who claimed 2nd place for the second year in a row. The ever consistent Michael Crawley followed in 16:57 (3rd place), just holding off Darrell McKee (4th place – 17:01). Stormont XC podium finisher Martina McMullan topped the ladies podium in 19:45 (1st place), with AAI Novice XC Champion Natalie Hall securing the runners up spot in 20:05 (2nd place). In an excellent race for the final podium place, Amy McDaid clocked 20:44 (3rd place) to finish five seconds ahead of Gemma Turley (4th place – 20:49); in-turn, Gemma covered the distance six seconds quicker than Deirdre Shiels (Foyle Valley AC), who recorded 21:05 (5th place). On Thursday 14th April 2016, well over two hundred athletes descended on the scenic Castlewellan Country Park in County Down for the first race of this year’s Hill & Dale Series, an increasingly popular eleven race Series hosted by Newcastle AC. The Series opener measured approximately 5 miles in distance, which incorporated 900ft of ascent. Almost from the off, it looked as if there was going to be a repeat of how last year’s event played out. Reigning Champions William McKee (Mourne Runners) and Shileen O’Kane (Lagan Valley AC) looked like prominent figures at the head of the pack; both were looking to retain their titles! William had up and coming athletes Paul Pruzina (Cambridge University), Zak Hanna (Newcastle AC) and David Hicks (Newcastle AC) as his main competitors, while Shileen would have to fend off Gillian Wasson (Ballymena Runners), Moire O’Sullivan (Unattached) and Diane Wilson if she was to claim victory. In the end, there was no stopping William McKee as he secured a well-deserved victory in 32:54 (1st place). Paul Pruzina continued his recent good run of form to take 2nd place in 34:50, while Zak Hanna completed the top three in 35:46 (3rd place). It was a similar story in the ladies race, Shileen O’Kane also retaining her title despite the best efforts of the chasing ladies – the Northern Ireland international athlete broke the tape in 41:55 for 1st place. Gillian Wasson took 2nd place in 42:08, before Moire O’Sullivan crossed the line in 42:33 for 3rd place. Weekend Preview: A busy weekend ahead! After a busy week, which included the Donard-Commedagh Horseshoe (inc British Fell Running Championships) and the Titanic 10k, as well as an exciting midweek of action, it is now time for us to look ahead to the upcoming events. The main focus of our preview will be on the Dental Solutions 5k, Castleward HM & 10k and the Run Armagh 10k, but there are also various other races taking place. This includes the Gortin 10k in County Tyrone and the Dungiven 10k in County Derry/Londonderry. Local clubs will also be represented at the GloHealth AAI National Road Relay Championships in Ireland, while student athletes from Northern Ireland will be in action for their Universities and Colleges at the IUAA Track & Field Championships in Ireland. The weekend action will kick off tonight, Friday 15th April 2016, in the Maiden City of Derry/Londonderry, when Derry City Track Club will host the 2nd annual running of their Dental Solutions 5k road race. In 2015, this proved to be a popular and well-organised event and with the added incentive of a revised flatter and faster course closer to the City Centre, a record number of participants are expected. Amongst those will be a strong squad from Acorns AC – the likes of Shane Donnelly, Darrell McKee, Aidan O’Hagan and Dairmuid O’Kane will feature prominently at the front end of the pack. Although, looking at potential prize-winners from the group, Darrell McKee looks the most likely, given his 16:03 5k personal best and a 9:28 over 3,000m at the recent North Down AC Track & Field Meet. However, Darrell and his club mates will face tough opposition in the form of Mark McKinstry (North Belfast Harriers) and Martin Cox (Derry City Track Club). Mark has been in incredible form in 2016 – he has represented Northern Ireland ‘on the country’ and also on the roads – two weeks ago he sealed victory at the NiRunning ‘Killylane Klassic’ just outside Larne and his 15:47 personal best for the distance will definitely put the North Belfast Harriers athlete in the mix. Meanwhile, Martin was a podium finisher at this event in 2015, covering the old course in 15:40; his 5k best of 15:13 would suggest that Martin will start as pre-race favourite. Unattached athlete Michael Crawley, who won the Fivemiletown 10k last month (March 2016), will also feature, while Foyle Valley AC’s Chris McGuinness should also be considered as a contender if he makes use of the on the night entry system. Conor Shiels (North Belfast Harriers), Billy Orr (Foyle Valley AC), Matthew McLaughlin (Foyle Valley AC) and Adrian McGowan (Foyle Valley AC) will all run well. In the ladies race, current GloHealth AAI National Novice XC Champion Natalie Hall (Acorns AC) will be worth watching. The talented athlete recorded 19:21 at parkrun last week and should better that here, which will surely secure a place on the podium, if not a win! The hopes of the host club lie with up and coming star Amy McDaid (Derry City Track Club) – Amy never fails to impress at local events, especially over this distance; she (Amy) recorded 20:10 at the Lifford-Strabane 5k, which was enough for third place. Foyle Valley AC’s Martina McMullan, a prize-winner at the Stormont XC, will play a part at the front, as will Acorns AC trio Ann-Marie McKernan, Leanne Sands and Lisa Simpson, who will all provide good back up for the aforementioned Natalie Hall. On Saturday 16th April 2016, local events management company Born 2 Run will welcome close to eight hundred athletes to their Castleward Challenge Half Marathon and 10k races, which will be held within the confines of the stunning Castle Ward Estate in County Down. This will be the fifth year that the National Trust owned property has played host to the event, which will see competitors start and finish in the shadow of the majestic 18th century Castleward mansion. Runners will also enjoy a tour through the estate as they negotiate the respective courses, which comprise of a combination of forest trail, open pastures and shoreline paths along the banks of Strangford Lough. In the 10k event, North Belfast Harriers’ Martin Rea should be there or there abouts. The respected Virgin London Marathon pacer has returned to competition over the last few months and is showing good strength; an attribute that will assist him greatly over this course and terrain. Stephen O’Gorman (Dromore AC) has been impressing on the trails of late and should finish well up the pecking order here, and the same could be said for Bobbie Irvine (Seapark AC), who interestingly, won the Atlas Running ‘Last One Standing’ event at this venue a few months ago. In the ladies 10k, reigning Champion Karen Alexander (Acorns AC) should ease to victory if she enters on the day (entries are available from 8.15am). Aside from Karen, Rachel Burgess (Unattached), Paula McKibbin (Murlough AC), Gillian Abraham (Unattached), Sarah Benton (North Down AC) and Gillian Cordner (Seapark AC) look like potential athletes who could battle it out for the podium places. Helen Byers (North Down AC) and Natalie Bowbanks (Unattached) will also perform to their usual high standard. The Half Marathon will bring several well-known faces to the start line, with Hilltown 10k runner up Don Travers (Newry City Runners) likely to lead the way. The main challenger standing in Don’s way will be Ballydrain Harriers’ Richard Coey, a quality and consistent athlete. Interestingly, both men picked up prizes here in 2015, with Don winning and Richard taking third place. East Down AC’s Philip Vint will also be aiming for a highly placed finish. The ladies 13.1 mile event looks like a three way competition between Anne Havern (Newry City Runners), Joanne Foster (East Down AC) and Niamh O’Connell (Murlough AC). On the same day (Saturday 16th April 2016), the Gortin 10k road race (and associated 5k) will take place in County Tyrone. In previous years the event has attracted numbers in the region of 300 and this year should be no different. The race also boasts an impressive array of previous winners and should attract some high profile athletes once again. Omagh Harriers athlete Stephen Duncan (Omagh Harriers), winner of the Beragh 5 mile road race last week, may take to the start line and could well be joined by the man who took the runners up spot in Beragh, his club mate Paul Barbour (Omagh Harriers). Chris McGuigan (Omagh Harriers) and Vincent McAlister (Unattached) may also race. Michelle Sturm (Omagh Harriers) burst back onto the local scene with a win at the Beragh 5 mile road race last weekend and could well race here. In Beragh, Michelle saw off the talented Patricia O’Hagan (St Peter’s AC), who may also compete at this event. Pauline McGurren (Sperrin Harriers) could well race and if she does, it will make for an epic battle between the three ladies. In County Derry/Londonderry on Saturday 16th April 2016, hundreds of athletes are expected to turn out to support the Dungiven 10k road race. The event, which is one of two road races in the town, should prove popular with a number of local clubs, as well as running and fitness enthusiasts. Derry City Track Club athlete Chris Millar has been in good form at the Valleys 5k Series and may start here – should he do so, the improving athlete will be considered as a contender. Gavin Corey (Unattached), Aaron Meharg (Acorns AC) and Darragh Crossan (Derry City Track Club) will run well if they toe the line. The ladies race is a hard one to call, but Stephanie Brolly (Sperrin Harriers) could feature; so could Pauline McGurren, should the Sperrin Harriers lady opt for this event over the Gortin 10k. On Sunday 17th April 2016, athletes from across the province are expected to descend on the Cathedral City of Armagh for the 8th annual running of the Run Armagh 10k road race. The event covers an undulating, mainly rural course, starting close the famous Armagh Planetarium and finishing on the historic Mall. Previous winner of the event and AAI National Vet35 10k gold medallist Paddy Hamilton (Slieve Gullion Runners) will prove hard to beat should her enter on the day, but one man that will be racing is 2015 winner James Loftus (Liverpool, Pembroke & Sefton AC), who covered the Orchard lined route in 33:48. Since then, the 4:45 miler has recorded 9:15 for 3,000m at the BUCS Indoor Championships. Reading Road Runners athlete David McCoy will hope to produce the same kind of form that saw him claim a personal best of 2:48:34 at the Manchester Marathon last week, while the fast improving Gerard Heaney (St Peter’s AC) should also be considered as a podium contender. Mark Weir (North Down AC), Simon Reeve (North Belfast Harriers) and Stephen O’Gorman (Dromore AC) will all finish within the top ten. Just like the men’s event, the 2015 ladies Champion will return to defend her title. North Belfast Harriers’ Louise Smith won in 37:18 twelve months ago and will be hoping to reach a similar standard here. Last week Louise completed the Titanic 10k in 38:16, and that was in windy conditions, so the local athlete is in good form. Armagh AC’s Kathryn Rafferty is one to watch as she continues to make an excellent impact on the local scene, while Ruth Perioli (Lagan Valley AC), Gillian Logan (Larne AC), Amy Bulman (Unattached) and versatile athlete Joanne McCauley (St Peter’s AC) will all have high hopes of finishing well inside the top ten. In Ireland on Sunday 17th April 2016, clubs from across the island will take to the roads of Raheny, just outside Dublin, for the GloHealth AAI National Road Relay Championships. Leevale AC will be the red hot favourites in the ladies race with Rio Olympic qualifiers Lizzie Lee and Michelle Finn set to return for the Cork based outfit. Alongside Carol Finn last year, they blitzed to the gold medals in record time in 20:39 in the 1-2-1 mile (4 miles) format. Northern Ireland will be well represented in the form of teams from Beechmount Harriers and North Down AC. Gerrie Short, Catherine Diver and Maria Morris will line up for Beechmount Harriers, while Jodi Smith, Rachel Gibson, Jessica Craig, Katie Moore and Melissa Eccles will travel for North Down AC. Other teams amongst the fourteen senior ladies teams entered that should feature include Crusaders AC and Sli Cualann AC. Orla Drumm should spearhead the Crusaders AC team on the 2 mile leg as should Deirdre Byrne for Sli Cualann AC who has been in excellent form of late finishing second in Dunboyne and at the Great Ireland Run 10k, which incorporated the national 10k Championships. There should be a great battle in the men’s race with Donore Harriers looking to retain the title they won last year in 37:52 over the 2-1-3-2 mile (8 miles) format. Northern Ireland’s hopes lie with North Down AC, who will take a strong squad – this includes James Budde, Michael Dyer, Dennis Scott, Craig McMeechan, Jamie McMeechan and Francis Marsh. A full list of teams is available HERE. On Saturday 16th and Sunday 17th April 2016, students from all over Ireland will swap their club colours for those of their University or College as they compete at the IUAA Track & Field Championships at the Morton Stadium. The event, which will be streamed live, will see local athletes such as Christine McMahon (QUB AC), Emma Mitchell (QUB AC), Ben Maze (QUB AC), Andrew Mellon (QUB AC), Laura Frey (DCU), Jane Matthews (QUB AC), Hannah McGowan (DCU), Conal McCambridge (Ulster University), Adam McComb (University of Ulster), Neil Johnston (QUB AC) and Christian Robinson (QUB AC), amongst others, battle it out for medals against some of Ireland’s top up and coming talent. As always, Northern Ireland’s twenty one parkrun events will take place this weekend, for more information on these, or to locate your nearest event, please visit our dedicated ‘parkrun’ section within our fixtures page. On Wednesday 13th April 2016, just over one hundred athletes took to the start line of the annual Bay Road 5k road race in the maiden city of Derry/Londonderry. The popular and well-organised event, which offers participants a flat and fast course, is hosted by City of Derry AC. At the competitive end of the pack, training partners Conor Bradley (City of Derry AC) and Danny Mooney (Letterkenny AC) always looked like the main contenders, with Gary Slevin (City of Derry AC) and Jonathan McKee (Springwell Running Club) battling it out for the remaining podium place. In the ladies race, Titanic 10k runner up Ann-Marie McGlynn (Letterkenny AC) looked a class above her competitors, despite a fairly decent field. After what was an excellent race, it was Conor Bradley who secured victory. The former NI & Ulster 10k Champion looked back to his best as he broke the tape in 15:12 (1st place). Commonwealth Games star Danny Mooney followed in 15:21 (2nd place), before Gary Slevin edged 3rd place in 15:33. In the ladies race, Ann-Marie ran out clear winner in 16:17 (1st place), which saw the Rio Olympic hopeful take 5th place overall. Ballymena & Antrim AC’s always impressive Pauline Thom clocked 18:20 for 2nd place, while Kerry Bamber (Ballymena Runners) completed the top three in 18:39 (3rd place). On Tuesday 12th April 2016, a record number of 360 athletes descended on Galgorm Village, just outside Ballymena, for the annual Ballymena Belles 5 mile road race. The ‘ladies only’ event, now in its third year, raised money for the worthwhile ‘Pretty in Pink’ charity. The pre-race atmosphere brightened up what was a dull night weather wise; the subsequent racing also brought some shining performances. As the ladies set off on the fast start, favourites Cathy McCourt (North Belfast Harriers), Karen McLaughlin (Springwell Running Club) and Sarah-Jane Guiney (Albertville Harriers) made their way to the front of the pack. Cathy was the first to move forward and lead the seemingly endless field, but around the half way mark, Karen and Sarah-Jane moved alongside the reigning Champion and at one stage, forced her into third place. However, the North Belfast Harriers athlete battled back and regained the lead. Despite a valiant effort by Karen, especially in the latter stages, it was Cathy who turned onto the finishing straight first – she (Cathy) broke the tape in 33:37 (1st place), sealing her third successive victroy at the event. Karen followed in 33:42 for 2nd place, before Sarah-Jane completed the top three in 34:03 (3rd place). Sperrin Harriers’ Tanya Quinn took 4th place in 35:08, just ahead of Kirsty Sharratt (Unattached), who sealed 5th place in 35:19. This week, the Northern Ireland Mountain Running Association (NIMRA) announced their squad for the upcoming Inter-Counties Mountain Running Championships, which will be held in Moel Eilio, Llanberis, Wales on Saturday 14th May 2016. Men: Team Captain – Allan Bogle (City of Derry AC), William McKee (Mourne Runners), Shane Donnelly (Acorns AC), Sam Herron (Mourne Runners) and Under 23 athlete Zak Hanna (Newcastle AC). The men’s reserve is David Hicks (Newcastle AC). Ladies Team: Team Captain – Hazel McLaughlin (Lagan Valley AC), Mari Troeng (Newcastle AC), Paula McAllister (Ballymena Runners) and Under 23 athlete Megan Wilson (East Down AC). The ladies reserve is Sam McNeilly (Newcastle AC). On Wednesday 12th April 2016, a record number of athletes are expected to descend on Galgorm Village, just outside Ballymena, for the annual Ballymena Belles 5 mile road race. The event, now in its third year, is organised to raise money for charity. The course covers an undulating rural route – this, alongside Ballymena Runners’ strong reputation for organising quality events, will attract a good mixture of well-known athletes right through to those stepping up to the 5 mile mark for the first time. Focusing on the hunt for prizes, it’s hard to see anyone challenging reigning Champion and course record holder Cathy McCourt (North Belfast Harriers) if she races. Cathy returned from a foot injury at the Delamont Park 10k last week and secured second place, an excellent performance considering that she is not yet race fit. Should she make use of the on the day entries, the host club’s Paula Arthur-McCarthy (Ballymena Runners) will also feature at the front after showing real progress so far in 2016 – Paula kicked off the year with a podium place at Race Over The Glens and then went on to win the Raceview 10k in 41:34. Paula’s club mates Paula McAllister and Kerry Bamber, who finished in first and third place respectively at the recent ‘Killylane Klassic’ Trail Race, should also contest a podium place. The same could be said for the Albertville Harriers’ Sarah-Jane Guiney, who will improve on her seventh place finish here twelve months ago when she recorded 35:09. Karen McLaughlin (Springwell Running Club) will head a strong trio from the North West based club, with Caroline Irwin and Catherine Pinkerton also set to compete. All three will go well, as will Larne based athlete Kirsty Sharratt (Unattached), who has claimed podium places at the recent Ballygalget 10k and Kilclief 10k. Another Larne native, Gillian Logan (Larne AC), two-time Champion at the Resolution Run 10k, will be there or there abouts, while PACE Running Club athlete Nicola Swinson should finish well inside the top ten. Suzanne Higgins (Lagan Valley AC) is a previous podium finisher here having covered the route in 31:33 – after racing at the Titanic 10k on Sunday, it is hard to say whether Suzanne will toe the line, but if she does, she’ll be worth watching. Other ladies to look out for include Natasha Henderson (County Antrim Harriers), Gillian Cordner (Seapark AC), Tracey Atkinson (Albertville Harriers), Louise Smart (County Antrim Harriers), Ruth Wilson (Unattached) and Connie Hodge (East Coast AC). Registration and pack collection opens at 5:30pm and will close at 6:40pm sharp to allow time to make way to the start line. It may be worth noting that the start line is a 10 minute walk from registration so be sure to allow time to get there on time. Parking is restricted in Galgorm Village so please car share where possible. On Sunday 10th April 2016, a large number of athletes from Northern Ireland made the one hundred mile journey south to Dublin (Ireland) for the annual Great Ireland 10k, which also incorporated the GloHealth AAI National 10k Championships. The event in itself attracted a plethora of talent, with Fionnuala McCormack (Kilcoole AC) retaining her National 10k title after covering the Phoenix Park course in 33:30 (1st place). Raheny Shamrocks AC man Mick Clohisey (30:00) won his first national 10k road title but was pipped for overall glory by England’s Andy Maud who won in 29:55. Local athletes also impressed, with Paddy Hamilton (Slieve Gullion Runners) leading the familiar faces home in a speedy 31:04; this saw Paddy secure 4th place overall and 1st place in the Vet35 category. Gary Slevin (City of Derry AC) narrowly missed a top twenty place when he clocked 33:18 for 22nd place. Northern Ireland men Paul Elliott (North Belfast Harriers) and Peter Lilburn (City of Derry AC) picked up medals in the Vet60 category, with Paul sealing gold in 37:21 (89th place – 1st place Vet60) and Peter collected silver in 39:43 (135th place – 3rd place Vet60). Ballydrain Harriers man Hugh Young topped the Vet75 podium after crossing the line in 54:30 (231st place – 1st place Vet75). There was further success for Northern Ireland based athletes in the ladies race. City of Derry AC’s Catherine Whoriskey claimed a top ten place in the ladies race after running 37:10 for 7th place, while NI & Ulster XC medallist Gerrie Short recorded 39:50 for 18th place overall and 2nd place in the Vet40 category. On Sunday 10th April 2016, Armagh AC athlete Fionnuala Ross produced a stunning performances to seal victory and a Scottish Championship medal whilst representing her second club Shettleston Harriers at the Tom Scott Memorial 10 mile road race in Motherwell, Scotland; the event also incorporated the Scottish Athletics 10 mile Championships. Fionnuala, a previous NI & Ulster 10k Champion and a silver medallist at this seasons Scottish XC Championships covered the 10 mile route within Strathclyde Park in 55:50 (1st place); this saw Fionnuala win by almost three minutes. Full results can be found HERE. Also in Scotland on Sunday 10th April 2016, two Northern Ireland men were in action at the Grangemouth 10k. Irish triathlon star Russell White, who represents Dromore AC in the running world. claimed an excellent win, crossing the line in 31:01 (1st place). In a close finish, Derry City Track Club’s Conan McCaughey took 4th place in a new personal best of 31:04. On Sunday 10th April 2016, thousands of athletes and spectators descended on the picturesque and continually growing Titanic Quarter of Belfast for the annual Titanic 10k road race, hosted by Athletics NI. The excellent programme of events kicked off with several junior races, culminating in the Junior Mile. These races proved to be a perfect ‘atmosphere builder’ for the main event which was to follow. In bright but windy conditions, well over one thousand runners set off on the flat and fast 6.2 mile route. After a speedy start, it was Thomas Frazer (St Malachy’s AC) and Gary Murray (Clonliffe Harriers) who settled at the front and set the pace. Behind, reigning Champion Conor Duffy (Glaslough Harriers) was running with Chris Madden (City of Lisburn AC). Seamus Lynch (Newcastle AC), Barry Harron (Finn Valley AC), David O’Flaherty (Newcastle AC), Mark McKinstry (North Belfast Harriers), Chris McGuinness (Foyle Valley AC) and Andrew Agnew (Annadale Striders) also started well. In the ladies race, pre-event favourites Kerry O’Flaherty (Newcastle AC) and Ann-Marie McGlynn (Letterkenny AC) were living up to their strong reputation, quickly moving to the front and assuming control – Laura Graham (Mourne Runners) and Gladys Ganiel O’Neill (North Belfast Harriers) were also looking sharp just behind. As the athletes went through the 5k marker, Thomas Frazer (15:20) had a mere one second lead on Gary Murray (15:21), while Conor Duffy (15:40) and Chris Madden (15:41) were just as close as they enjoyed what looked like an excellent race for third place. Seamus Lynch (15:49) and Barry Harron (15:49) were another two of ten men who clocked under sixteen minutes for the first half of the race. Meanwhile, well-hidden in a large group, Kerry O’Flaherty and Ann-Marie McGlynn went through the 5k marker together in 17:15. It was a similar situation with Laura Graham (17:40) and Gladys Ganiel O’Neill (17:41), with just one second splitting the pair at half way. Like the men’s race – the race between Conor and Chris, this dual between Gladys and Laura looked as if it was going to be an epic battle for the final podium place. As the race progressed into the second half, there was still little between Thomas Frazer and Garry Murray, but as they made the turn and headed back towards the well-supported finish area, it was Thomas who edged clear – with less than a mile to go, the St Malachy’s AC made his move. He (Thomas) powered towards the finish and there was no stopping him as he broke the tape in 30:48 (1st place). Gary Murray followed up his recent impressive outing at the Reading HM with another notable outing, taking 2nd place in 30:53. The ever improving Chris Madden secured the final podium spot in a new personal best of 31:31 (3rd place). In the ladies race, Kerry O’Flaherty crowned an excellent display of running, particularly in the second half of the race, as she gradually moved clear of Ann-Marie McGlynn to eventually seal her third win at this event; Kerry recorded 34:17 for 1st place, which was her fastest time over this course be nearly two minutes. Ann-Marie claimed a well-deserved 2nd place in 34:31, before the in-form Laura Graham smashed her previous 10k personal best (of 36:07) to secure 3rd place in 35:21. On Saturday 9th April 2016, hundreds of running enthusiasts from the County Tyrone area (and beyond) took on the popular Beragh 5 mile road race and the associated 5k race, an annual event which always attracts some of the country’s top athletes. This year was no different with recognised Northern Ireland international Stephen Duncan (Omagh Harriers), a previous winner of the race, taking to the start line. Stephen’s best over the Beragh course is 25:47, which he ran in 2015 – despite not bettering this, the decorated athlete put in a classy performance for what was essentially a solo victory. Stephen was in control throughout and broke the tape in 26:38 (1st place). Fellow Omagh Harriers man Paul Barbour made a welcome return to competition and impressed with a podium place, taking 2nd place in 28:13; Chris McGuigan completed a clean sweep of the podium for Omagh Harriers in 28:28 (3rd place). The ladies race saw a return for two of the provinces most talented female runners – Omagh Harriers’ Michelle Sturm and St Peters AC’s Patricia O’Hagan have not featured regularly over the last few years but went head to head here in an excellent race. In the end, it was Michelle who secured top spot, winning in 31:19 (1st place). Patricia followed thirty seconds later 31:49 (2nd place), before OTC’s Sinead Donnelly completed the top three in 34:47 (3rd place). On Saturday 9th April 2016, nearly three hundred athletes from across the UK descended on the coastal town of Newcastle (County Down) for the first race of this year’s British Fell Running Championships, the Donard-Commedagh Horseshoe, hosted by the Northern Ireland Mountain Running Association (NIMRA). The 14 kilometre route, incorporating 1,200 metres of accumulative ascent was classed as a medium race in terms of the British Championships, and saw the hardy fell running enthusiasts climb Northern Ireland’s two highest mountains, Slieve Donard and Slieve Commedagh. The athletes exited the start and finish area in Donard Park and made their way through Donard Forest, with local man and a previous winner of the Northern Ireland round of the British Championships, Allan Bogle (City of Derry AC), leading the way – Rhys Findlay-Robinson (Dark Peak FR), Sam Tosh (Rossendale Harriers) and Robe Hope (Pudsey & Bramley AC) led the chasing pack as the moved through CP1 at the Quarry below Thomas’ Mountain. In the ladies race, Hiedi Dent (Howgill Harriers) was looking strong, while Louise Roberts (Ambleside AC), Sharon Taylor (Helm Hill Runners), Helen Berry (Holmfirth Harriers), Emma Gould (Mercia Fell Runners) and youngster Bronwen Jenkinson (Eryri Harriers) were amongst those in the mix. After CP1, last week’s Pendle Fell Race winner Sam Tosh moved to the front and was the first athlete to summit Slieve Donard in 37:07, but Robe Hope was a mere two seconds behind. Further back, Rhys Findlay-Robinson and Carnethy HRC’s Andrew Fallas followed in 37:17 and 37:18. The ladies race wasn’t just as close, but of course was just as interesting – Hiedi Dent reached the top of Northern Ireland’s highest peak in 43:00, twenty nine seconds ahead of Louise Roberts who ‘dibbed’ in 43:29. Helen Berry and Sharon Taylor followed in 44:43 and 45:05 respectively. From the summit of Slieve Donard (CP2), participants followed the Mourne Wall in a southerly direction, meeting the Brandy Pad at the Bog of Donard (CP3), were they followed the established path for approximately one mile to CP4, located on the Brandy Pad at the bottom of Slieve Commedagh. At this point, the battle for top spot was between four men, with Rob Hope, Sam Tosh, Rhys Findlay-Robinson and Andrew Fallas starting the ascent of Slieve Commedagh within five seconds of each other. Hiedi Dent was stamping her authority on the ladies race, further increasing her lead as she negotiated the fast Brandy Pad and went through CP4 onto the final ascent of Slieve Commedagh. Here, the battle for the final two podium places was being contested by Louise Roberts, Sharon Taylor and Helen Berry – only forty four seconds split the ladies as they reached CP4. Sam Tosh again showed his strength on the climb as he reached the summit cairn of Northern Ireland’s second tallest mountain, Slieve Commedagh (CP5) first. Just two seconds later, Rob Hope checked in, with Andrew Fallas following exactly two seconds behind. The men then began the long descent toward the Donard Park finish line via a CP6 in Donard Forest. There was no stopping Hiedi Dent as she began her descent two minutes ahead of Louise Roberts; Sharon Taylor and Helen Berry followed. After an epic and at times technical descent through Donard Forest, very little split the leading men as they powered towards the final run into Donard Park, but in a fast finish, it was Rob Hope who ran out as winner. Rob crossed the line in 1:17:21 (1st place), with Sam Tosh having to settle for 2nd place in 1:17:29 despite leading on several occasions. Rhys Findlay-Robinson descended well to secure 3rd place in 1:17:47. The leading Northern Ireland athlete was early leader Allan Bogle, who recorded 1:20:50 for 9th place. Hiedi Dent completed a good day at the office with an emphatic victory. Leading from the start, Hiedi broke the tape in 1:29:35 (1st place). After an outstanding descent from Slieve Commedagh and through Donard Forest, Sharon Taylor came through to secure a well-deserved 2nd place in 1:33:33. Despite losing her runners up spot, Louise Roberts was rewarded for a strong performance with a podium place, taking 3rd place in 1:34:10 – this was eight seconds ahead of Helen Berry, who recorded 1:34:18 for 4th place. The first Northern Ireland lady to finish was Dromore AC’s Diane Wilson in 1:42:13, taking 13th place in the ladies category. Provisional Results: Donard-Commedagh Horseshoe Mountain Race 2016 Provisional Results – Photos from the Donard-Commedagh Horseshoe Mountain Race will be added to our website in the coming days. Weekend Preview: Local athletes prepare for a weekend of major events! Weekend Preview: Athletes look forward to a weekend of major events! It’s that time of the week again – time to sit down, look at the upcoming fixtures and make some notes in relation to who will feature at this weekend’s races! Looking at the official Athletics NI calendar, it looks like a quiet weekend, but don’t be fooled. Even though there are only three events listed, the Donard-Commedagh Horseshoe, Titanic 10k and Beragh 5 mile road race – these will attract well over 2,000 competitors in total; the first is also a British Championship Mountain Race. Outside Northern Ireland, local athletes will be out in force at the Spar Great Ireland 10k in Dublin, which will double up as the GloHealth AAI National 10k Championships. The weekend action will kick off on the morning of Saturday 9th April 2016, when the Northern Ireland Mountain Running Association (NIMRA) will host the first race of this year’s British Fell Running Championships in Newcastle, County Down. The Donard-Commedagh Horseshoe race will see some of the UK and Ireland’s top fell runners descend on the seaside town, in an attempt to summit Northern Ireland’s two highest peaks and return to Donard Park in the quickest possible time. The 14 kilometre route, incorporating 1,200 metres of accumulative ascent, is classed as a medium race in terms of the British Championships, and will see almost three hundred hardy fell running enthusiasts climb Northern Ireland’s two highest mountains, Slieve Donard and Slieve Commedagh. We offered an in-depth look at the potential contenders as part of our ‘Special Preview – NIMRA to host British Fell Running Championship opener…’ which is located just BELOW this weekend preview, please check it out if you haven’t already! On the same day (Saturday 9th April 2016), running enthusiasts in the County Tyrone area will take on the popular Beragh 5 mile road race, an event which always attracts a sizeable crowd, including some of the country’s top athletes. This year will be no different, especially considering the attention which the race attracted twelve months ago when Project Africa Athletics athletes Vincent Kiprotich and Selina Kangogo smashed the male and female course records with outstanding solo performances. Vincent led the men home in 24:51, while Selina won in 30:24. Although neither will return this year, their friend Gideon Kimosop could well toe the line – should he do so, the Larne Half Marathon and Omagh Half Marathon winner will start as pre-race favourite. In Larne, Gideon won in 1:07:28, while in Omagh a week later he covered the distance in 1:05:51. Former Champion Stephen Duncan (Omagh Harriers) may also turn out, and after pacing Omagh Half Marathon (he was a 1:20:00 pacer and finished perfectly in 1:19:49), he’ll be eager to get racing. Stephen’s best over the Beragh course is 25:47 – he ran that in 2015, when he took second place! Martin Cox (Derry City Track Club) may be another athlete to look out for, while Michael Kerr (Carmen Runners) and Fergus McGirr (Enniskillen Running Club) should claim places in the top ten if they race. In the ladies race, Karen Alexander (Acorns AC) will be hard to beat if she makes use of the on the day entries. However, Pauline McGurren (Sperrin Harriers) can never be discounted given her exceptional talent. Patricia Campbell (Omagh Harriers), Natalie Hall (Sperrin Harriers) and Ciara Coyle (Carmen Runners) could also play a part. On Sunday 10th April 2016, the governing body for athletics in Northern Ireland, Athletics NI, will welcome early one thousand five hundred runners from all over Ireland (and beyond) to their annual Titanic 10k road race. The event is also the second race of the already popular Novosco 10k Grand Prix (full details can be found HERE). The flat and fast course is within the confines of the ever expanding Titanic Quarter of Belfast and offers huge personal best potential whilst on the other hand, provides an excellent course for those moving up to 10k for the first time. As always, the field will be littered with top class athletes, none more so than St Malachy’s AC old boy Gary Murray. Last week Gary looked in good shape as he returned to action at the Reading Half Marathon. He was well in the mix until the latter stages, but despite dropping off the pace he held on for an excellent 1:06:09 for fifth place in what was a highly competitive field. Gary, a 3:59:52 miler, has never raced at this event before, but won arguably Northern Ireland’s two biggest 10k races in 2015, the Laganside 10k (30:34) and the Seeley Cup 10k (31:06). Reigning Champion and NI & Ulster 10,000m gold medallist in 2015, Conor Duffy (Glaslough Harriers), will return to defend his crown, while Scott Rankin (Foyle Valley AC), who led for much of this race twelve months ago (before finishing in second place), will also start. Both Conor and Scott ran well at the recent IAAF World Half Marathon Championships in Wales, with Conor clocking 1:09:38 (25th place) and Scott a new personal best of 1:08:32 (16th place); it will be interesting to see who edges it this time around. Andrew Agnew (Annadale Striders), Chris Madden (City of Lisburn AC), Mark McKinstry (North Belfast Harriers), Seamus Lynch (Newcastle AC), Paul Barbour (Omagh Harriers) and Chris McGuinness (Foyle Valley AC) will add further depth to the stacked field. The fact that any of the aforementioned men would not be a surprise winner shows the level of talent on show, and that’s before you throw in the likes of Tommy Hughes, who’ll represent his local club Termoneeny RC for the first time. Dennis Scott (North Down AC), David O’Flaherty (Newcastle AC), Neill Weir (Willowfield Harriers), Francis Marsh (North Down AC) and Ben Morrow (Ballymena Runners) should all be hoping for places within the top ten. County Tyrone men Michael Crawley (Unattached) and Gavin Corey (Sperrin Harriers) will also impress. The ladies start-list reads like a note of Northern Ireland’s best athletes over the last number of years! NI & Ulster 10k Champion and 2015 winner Ann-Marie McGlynn (Letterkenny AC) will line up again fellow Irish international Kerry O’Flaherty (Newcastle AC), which will be an epic dual for top spot. Ann-Marie recorded 34:39 to win here in 2015 – Kerry has won the TQ10K twice with her best on the course being 36:06 in 2008; the Newcastle AC runner has stepped up a notch since then though and will be looking for a time closer to 34:00 this time around – she (Kerry) won Jimmy’s 10k last month in 34:49. In-truth, Kerry and Ann-Marie should claim the first two podium places – however, it’s a ‘free-for-all’ for the remaining spot, with NI & Ulster Senior XC Champion Shalene McMurray (Newcastle AC) starting alongside the likes of Commonwealth Games athlete Gladys Ganiel O’Neill (North Belfast Harriers), Northern Ireland international’s Emma Mitchell (QUB AC), Rebecca Henderson (Dromore AC) and Louise Smith (North Belfast Harriers) and the in-form Mourne Runners star Laura Graham, who has won the Larne and Omagh Half Marathon’s in recent weeks. Shalene won the NI & Ulster Senior XC title back in February in emphatic fashion, bursting clear early on and holding a relentless pace to win easily. That followed a win at the NI & Ulster Intermediate XC Championships in Coleraine a month earlier – more recently, Shalene cruised to victory at the Mussenden 10k Challenge, finishing well up the field overall. The highlight of Gladys’ year so far was an Olympic standard marathon run of 2:38:47 in Seville, while Emma will hope to kick off 2016 like she finished 2015, a year that saw the young athlete record personal bests over 800m, 1500m, 3,000m and 5,000m. The ever improving Rebecca Henderson made her Northern Ireland senior debut this year at the IAAF Antrim International XC; this was just reward following a bronze medal at the NI & Ulster Senior XC Championships in Lurgan. Louise Smith is a consistent performer and despite not being in top form so far this year, the North Belfast Harriers athlete is well capable of getting herself into the mix. So far in 2016, she (Louise) has enjoy numerous podium places at trail races and also clocked an impressive 1:22:10 to take second place at Omagh Half Marathon two weeks ago. Laura Graham has already won eight races in 2016, but her most impressive outings have been wins at the Larne HM (1:19:21) and Omagh HM (1:18:07), and a second place finish behind Kerry O’Flaherty at Jimmy’s 10k, where she crossed the line in a personal best of 36:11. This will be Laura’s final race before she takes on the London Marathon in two weeks and despite being at the peak of her marathon training, the Mourne Runners athlete is capable of bettering her current 10k best. Jodi Smyth (North Down AC), Katie Moore (North Down AC), Suzanne Higgin (Lagan Valley AC), Niamh Kellett (East Down AC), Sarah-Jane Guiney (Albertville Harriers), Debbie Matchett (Ballydrain Harriers), Ann Terek (City of Lisburn AC) and Ruth Perioli (Lagan Valley AC) will all finish well up the field and should contest category prizes were applicable. In Dublin (Ireland) on Sunday 10th April 2016, a large number of Northern Ireland based runners will be amongst nearly eight thousand athletes taking on the Great Ireland (10k) Run, which will also double up as the GloHealth AAI National 10k Championships. The event will be held in one of Europe’s largest city parks, the Phoenix Park; the same venue where most of the Dublin Marathon Race Series is based. Organisers have brought together a strong field for the prestigious event, which includes strong Elite Men and Elite Ladies fields – start lists for both are available HERE. At present we have no information on potential highly placed NI based athletes, but should any information become available, we’ll add it to this preview. On Saturday 9th April 2016, Northern Ireland Mountain Running Association will host the first race of this year’s British Fell Running Championships in Newcastle, County Down. The Donard-Commedagh Horseshoe race will see some of the UK and Ireland’s top fell runners descend on the seaside town, in an attempt to summit Northern Ireland’s two highest peaks and return to Donard Park in the quickest possible time. The 14 kilometre route, incorporating 1,200 metres of accumulative ascent, is classed as a medium race in terms of the British Championships, and will see almost three hundred hardy fell running enthusiasts climb through Donard Park to the top of Slieve Donard, via a Checkpoint close to the Quarry below Thomas’ Mountain (CP1). From the summit Checkpoint (CP2), participants will follow the Mourne Wall in a southerly direction. When the Mourne Wall meets the Brandy Pad, at the Bog of Donard (CP3), runners will follow the established path for approximately one mile to Checkpoint 4 (where the NiRunning – Garmin Mourne Skyline MTR team will be marshalling – say hello! ), before the steep ascent of Slieve Commedagh. From the summit cairn of Northern Ireland’s second tallest mountain (CP5), it’s all downhill to the Donard Park finish line via a forest Checkpoint (CP6). This route is extremely challenging but lends itself to good racing, with plenty of faster sections coupled with steep quad burning climbs. It should make every competitors journey well worthwhile and satisfy the most discerning fell runner. In normal circumstances, Carnethy 5 Hill Race (Scotland) and the Black Combe Fell Race (England) could be considered as relevant in terms of current form, given the distances, terrain and climbing. In February (2016) Carnethy competitors were treated with blizzard like conditions, then in March Black Combe participants got similarly testing weather, this time thick fog. This meant trying to establish good form was tough, but here is our take on the top athletes. The ladies race will see top mountain stars, such as the Carnethy Hill Running Club trio of Jasmin Paris, Helen Bonsor and Charlotte Morgan battle it out against Helen Berry (Holmfirth Harriers), Hiedi Dent (Howgill Harriers), Helen Brown (Mynydd Du) and Northern Ireland’s own Diane Wilson (Dromore AC). Other top ladies set to start include Mercia AC pair Mel Price and Emma Gould, Shona Robertson (Shettleton Harriers), Judith Jepson (Dark Peak Fell Runners), Sharon Taylor (Helm Hill) and Northern Ireland athlete Shileen O’Kane (Lagan Valley AC) will ensure that the Carnethy HRC ladies don’t get it their own way. Jasmin Paris was exceptional in 2015, competing strongly against both male and female competition. The Carnethy HRC athlete, who is part of the elite field for this year’s Skyrunning UK Series finale, the Garmin Mourne Skyline MTR, won the 60 mile Fellsman Ultra event in the Yorkshire dales in April (2015), finishing fourth overall and completing the course in a record time. Jasmin went on to win other long distance events such as the classic Isle of Jura race, finishing sixth overall and again smashing a course record (previously held by Angela Mudge) and the gruelling Dragon’s Back 200 mile/5 day Ultra, before taking a convincing victory at the 2015 Northern Ireland round of the British Championships at the notoriously tough Seven Sevens race; that day, Jasmin looked a class act! That said, the flying Scot has also competed well over shorter distances and proved her ability over the various courses by taking the 2015 British Fell Running Championship title. In February (2016), Jasmin completed a winter Bob Graham Round in a fantastic time of 22 hours 28 minutes. On the same weekend as Jasmin completed her long distance challenge, her Carnethy HRC club-mate Charlotte Morgan took a notable victory at the prestigious Carnethy 5 Hill Race in the Pentlands, Scotland. Although on home turf, Charlotte completed the tough course in testing conditions ahead of a very talented field, including Irish International Mountain and Cross Country Star Sarah McCormack (Ambleside AC). Helen Bonsor is another lady who has made a name for herself against top competition, taking victory the Yorkshire 3 Peaks Fell race (June), before winning the Salomon 4 Trails in July. Hiedi Dent is another serious contender in our eyes. Having taken victory in the Haweswater Half Marathon (1:22:56), four minutes quicker than her 2015 time over the same course. That’s significant improvement for a lady who already has a third place finish at the iconic Ben Nevis Race (2015) to her name, as well as wins at Windy Hill and Scout Scar Fell races earlier this year. More recently, Hiedi took second place at the Black Combe Fell race in England, where mist and fog caused navigational chaos (behind winner Victoria Wilkinson). Another impressive run at Black Combe was that of Emma Gould (Mercia FR). Emma completed the ladies podium there, taking third place only seven seconds behind Hiedi. The steep climbs here suit Emma, but the faster sections will play to Hiedi’s talents, it will be interesting to see who comes out on top. Another Mercia lady, English International Fell runner Mel Price has took numerous Vet 40 Category wins in 2015, but her competitiveness in the open female category makes her worthy of mention. Mel’s expertise lies around this distance and this type of course, that said the veteran star showed good form in her last visit to these shores, taking fifth place at the longer Seven Sevens event in 2015. Mel will be a podium contender. Likewise, Jude Jepson (Dark Peak Fell Runners), who has a victory at the tough Ennerdale Horseshoe to her name, as well as numerous other impressive podium finishes. The three time V40 Champion will enjoy these conditions. Helen Berry (Homfirth) seems to race sparingly, but when she puts herself on a start line she performs well. Only last month, Helen took victory in the Ian Roberts Fell Race and the former World Masters Champion is another who competed well at last year’s Seven Sevens event, taking third place on the talented podium. Another Helen, this time Helen Brown (Mynydd Du) raced over these mountains last October (albeit in different directions) and should know what to expect. Brown impressed in taking second place at the tough Garmin Mourne Skyline Mountain Trail Race, having led for a significant part of the course. The former World Bronze medallist took victory in the Silent Valley race, in the Mourne Mountains back in 2013. Helm Hill’s experienced competitor Sharon Taylor has shown good form early in 2016, most notably, a second place finish at the aforementioned Scout Scar in January. On a good day, Sharon is capable of a podium place here. Local hopes lie with Diane Wilson (Dromore AC). Having taken the 2014 NIMRA title, Diane progressed as a top mountain runner and in the summer/autumn of 2015 (following injury) peaked with victory at the Ben Nevis race, the first local lady to have won the event. The Northern Ireland international went on to beat a talented field at the aforementioned Garmin Mourne Skyline Mountain-Trail Race in October (2015), showing her strength, having come from behind to assume the lead position on the slopes of Slieve Donard. Diane climbs well and can descend quickly – definitely one to watch. Current NIMRA Champion, Lagan Valley AC’s Shileen O’Kane knows this route well and will be ready for this event. Although the 2016 Northern Ireland leg of the British Championship start list doesn’t boast regular names such as Scottish International Mountain Runner Finlay Wild (Lochaber AC), previous Champions Morgan Donnelly (Pudsley and Bramley AC), Salomon’s Shettleston Harriers pair Tom Owens and Joe Symonds, current English Fell Running Champion Simon Bailey (Mercia FR), nor the Isle of Man’s Lloyd Taggart of Manx Fell Runners, it does contain an outstanding crop of international fell running talent. The main contenders are likely to come from Rob Jebb (Bingley Harriers), Rob Hope (Pudsley and Bramley AC), Rhys Findlay Robinson (Dark Peak), Jethro Lennox (Shettleston Harriers), Andrew Fallas (Carnethy HRC), Sam Tosh (Rossendale Harriers), Adam Perry (Helm Hill) and Welsh international athlete Matthew Roberts (Calder Valley FR). The ever present veteran pair Karl Gray (Calder Valley FR) and Pete Vale (Mercia FR), as well as Northern Ireland men Allan Bogle (City of Derry AC) and Iain Whiteside (Carnethy HRC) will also be at the sharp end of the field. There is no sign of local boy William McKee (Mourne Runners) on the start list, but it’s expected that he will want to test himself against this line-up given his recent form against top talent. If the Mourne Runners man does compete, he’ll be one to watch. Rob Jebb (pictured below – photo courtesy of Holmfirth Harriers) should be considered favourite. Robb is a regular competitor in the Northern Ireland leg of the British Championship and knows the Mourne Mountains well. The three time British Champion raced the previously mentioned 13k Black Combe Fell Race in March (2016) and like many other contenders, started well but fell foul to the navigational issues, finishing in 188th position. That shouldn’t be a problem for the talented Yorkshire man this weekend. Like Rob Jebb, another former British Champion (four times) Rob Hope, was in the same predicament at Black Combe, eventually finishing in 178th place, a full twenty three minutes off the lead. We would expect both to lead this pack out, accompanied by some locals and possibly Jethro Lennox. Jethro, who took eleventh place at the Carnethy 5 Hill Race in February, has visited this area and knows the route well, having completed three laps of it! His strength is evident and with his descending ability, he’ll be a podium contender. Three times winner of the gruelling Fellsman Ultra, Adam Perry is another man worth considering. The Inov-8 athlete’s talent over the long distance speaks for itself, he can climb, but will need a turn of pace to stay with the likes of Rob Jebb, Rob Hope and Jethro Lennox. Another man with the ability to make the podium in this classic event is Rhys Findlay Robinson. Rhys didn’t have the trouble that others had at Black Combe, taking third place with an impressive run, finishing merely nineteen seconds behind man of the moment Ben Mounsey (Calder Valley FR). Andrew Fallas stepped up a level in 2015, with impressive runs at the Yorkshire 3 Peaks Race, Salomon 4 Trails and Northern Ireland’s ‘Seven Sevens’, where he placed seventh, following a strong start to the race. The Scottish international runner is good over the longer distance, but we think that this course and distance will compliment his talents. Northern Ireland international Iain Whiteside (Carnethy HRC) isn’t on the stat list, but is expected to compete. Iain is another who progressed massively in 2015 and began 2016 well at his club’s Carnethy 5 Hill Race. Iain was amongst the lead runners, before taking a wrong line, causing him to lose valuable time. That said, the Larne native finished comfortably in twelfth place, just seconds behind Jethro Lennox. The well-known Welsh international Matthew Roberts is a frequent visitor to Northern Ireland for the British Championship events. Matthew has the pace and depending on what type of training he has been doing, the Calder Valley FR man could excel here. With Matthew’s talent, this course is quite runnable and a top five finish is likely, possibly a podium place if the proud Welshman has been spending time in the mountains. Last but by no means least, are the Northern Ireland hopefuls. Winner of the 2014 Donard Challenge event, Allan Bogle ran well in the first race of the 2016 Northern Ireland Mountain Running Association Championship Series at Glenariff in March. Allan was narrowly defeated by the improved William McKee. Since then, Allan has spent some time on this course and his training would suggest that he could be one of the local athletes that could lead the talented pack into the mountains. On that note, we think he has the strengths to lead them back to Donard Park as well. As previously mentioned, Mourne Runners’ William McKee isn’t on the pre-entry list, but we would expect that William would want to test his excellent form against this field. At the back end of 2015 and early 2016, William has won almost every race that he has started, including hilly trail events and the aforementioned Glenariff Mountain Race, with the latter being his best show of form. On the day entries are available for this event, with registration opening at 9am and closing at 10.25am (sharp). With that in mind, should the likes of Great Britain star Victoria Wilkinson (Bingley Harriers), Caitlin Rice (Glossopdale Harriers), English internationals Lizzie Adams (Black Combe Runners), Pippa Maddams (Keswick AC) and Annie Conway (Ambleside AC) or the well-known Welsh athlete Jackie Lee (Eyri Harriers) decide to race, they should all be considered as real contenders for the victory. Likewise in the men’s field, Finlay Wild (Lochaber AC), Morgan Donnelly (Pudsley and Bramley AC), Tom Owens and Joe Symonds (both Shettleston Harriers), Simon Bailey (Mercia FR), Lloyd Taggart (Manx Fell Runners), Tom Addison (Helm Hill), Gavin Mullholland (Calder Valley FR) and his club mate Ben Mounsey are all notable absentees who could win here. Will they hold off their entries until race day? Who knows! Note: The NiRunning (Garmin Mourne Skyline MTR) team will be at the event – we’ll be marshalling so race updates may be beyond us, but please check out our website for a post-race summary, results and photos. You can also follow us on twitter – @NiRunning and @MourneSkyMTR, and facebook ‘Northern Ireland Running’ and ‘Garmin Mourne Skyline MTR’. On Sunday 3rd April 2016, Northern Ireland men Cathal McLaughlin (Derry City Track Club) and Stuart Kennedy (Beechmount Harriers) added to the medal haul for local athletes at the European Masters Athletics Championships in Ancona, Italy. Following impressive performances and the associated medals for City of Lisburn AC’s Kelly Neely and Clones AC’s Denise Toner (see previous summary HERE), Cathal and Stuart secured bronze medals in the 5k cross country Vet40 team competition. Cathal recorded 18:02 for 12th place overall, while Stuart crossed the line in 18:47 (18th place); their Ireland team mate, Paul Fleming, covered the distance in 17:30 (9th place). On Sunday 3rd April 2016, well over four hundred athletes took to the start line of the latest race in the popular Runher calendar of events, the scenic Delamont Park 10k and 5k trail races in County Down. The course featured a single, challenging lap for the 5k athletes, taking athletes around the perimeter of Delamont Park, covering some excellent trails, before heading along the shore of Strangford Lough and through wooded paths as they made their way back to the Visitors’ Centre finish area. The 10k runners took on two laps with the addition of a tough hill towards the end as the ladies made their way up to and around the Strangford Stone. In the 10k event, Mourne Runners athlete Laura Graham once again showed her class. Leading from early on, the Larne Half Marathon and Omagh Half Marathon winner progressively built her led before securing a well-deserved victory in 38:56 (1st place). Cathy McCourt (North Belfast Harriers) marked her return from injury with a good run, taking the runners up spot in 43:35 (2nd place) after an epic finish with Orangegrove AC’s Lyndsey Tyro; Lyndsey completed the top three a mere one second later in 43:36 (3rd place). The 5k brought a strong and commanding performance from versatile North Down AC athlete Rachel Gibson. Rachel chalked up her first ever win in a Runher event after breaking the tape in 20:05 (1st place). The fast improving Esther Dickson, a new recruit for Newry AC, covered the tough route in 20:27 for 2nd place, before Resolution Run 2015 podium finisher Amy Bulman (Unattached) just about saw off North Belfast Harriers’ Paula Wallace to take 3rd place in 23:07. Over the course of this weekend (Friday 1st April to Sunday 3rd April 2016), several athletes from Northern Ireland have produced notable performances outside the province, at events in America, England and Ireland. On Friday 1st April 2016, St Malachy’s AC athlete Ben Branagh was in competition at the San Francisco Distance Carnival Track & Field Meeting in America. The Northern Ireland man recorded an impressive 14:23.70 for 11th place over 5,000m. The race was won by Erick Rotich in 14:05.03 (1st place). On Sunday 3rd April 2016, Gary Murray (St Malachy’s AC) narrowly missed a podium place on his return to competition – racing in a competitive field at the Reading Half Marathon in England, Gary recorded 1:06:09 for 5th place. Also on Sunday 3rd April 2016, three familiar faces claimed top twenty places at the popular Dunboyne 4 mile road race in Ireland. The event has proved a successful hunting ground for NI based athletes previously and yet again, the local competitors performed well. Paddy Hamilton (Slieve Gullion Runners) was the first NI finisher, taking 8th place in 19:18. Glaslough Harriers’ Conor Duffy followed in 19:51 (11th place), before Michael McKillop (St Malachy’s AC) recorded 21:26 for 18th place. The race was won by West Waterford AC man David McCarthy in 18:39 (1st place). On Sunday 3rd April 2016, athletes from across the province descended on the County Down town of Castlewellan for the annual Castlewellan Spring Lakes 10k (and associated 5k). The event, which saw competitors cover a predominately trail based course within the scenic Castlewellan Country Park, attracted a large representation from local clubs such as Newcastle AC, East Down AC, Murlough AC and Castlewellan AC. Up and coming Newcastle AC athlete Zak Hanna looked in top form as he sealed an impressive victory. Ahead of the British Championship Mountain Running event in Newcastle next weekend, young Zak showed that he is one to look out for when he broke the tape in 37:09 (1st place). East Down AC’s Martin Wilcox followed in 37:24 (2nd place), before Newcastle AC’s Aidan Brown completed the podium finishers in 37:50 (3rd place). Sinead Murtagh completed an excellent double for Newcastle AC when she led the ladies home in 42:40, almost ninety seconds ahead of East Down AC’s Niamh Kellett who clocked 44:04 for 2nd place. Niamh O’Connell (Murlough AC) crossed the line in 44:46 for 3rd place. On Saturday 2nd April 2016, nearly fifty athletes turned out for the 3rd annual NiRunning 5 mile Trail Race, which was held within the confines of Ballyboley Forest, starting and finishing at the scenic Killylane Reservoir, just outside Larne. In perfect running conditions, the athletes set off on the relatively fast course, which took in some good running trails and forest roads within Ballyboley Forest. It wasn’t long before it became clear that the race for top spot would be between two men – Northern Ireland internationals Mark McKinstry (North Belfast Harriers) and Jonny Steede (Glens Runners). Jonny was the first ever winner of the event back in 2014, while Mark has secured the runners up spot in both 2014 and 2015. Mark led out with Jonny on his tail; behind, Andy Guy (East Coast AC), Conor Shiels (North Belfast Harriers), James Wallace (North Belfast Harriers), Simon Reeve (North Belfast Harriers) and Andy Gregg (Larne AC) were amongst the front runners. In the ladies race, it looked as if Lagan Valley AC’s Julie Murphy and Ballymena Runners duo Paula McAllister and Kerry Bamber would contest the top prize. As the race progressed, Mark, who regularly trains in the forest, showed his strength as he opened a gap on Jonny. Going into the final mile, the North Belfast Harriers man had a 150 yard lead on the 2014 Champion. Mark negotiated the long downhill finish at pace and made short work of the final 50 metre hill to the finish line, breaking the tape in a new course record of 26:34 (1st place). Jonny followed closely in 27:03 (2nd place), before Andy Guy saw off the fast finishing Conor Shiels (4th place – 30:08) to claim 3rd place in 29:47. Early leader Julie Murphy led the way in the ladies race until well into the final mile, when Paula McAllister moved through to take the lead – with power, Paula stormed up the final climb to seal an impressive victory in 33:54 (1st place). Julie claimed 2nd place nine seconds later in 34:03, while Kerry replicated her finishing position here in 2014, crossing the line in 34:42 for 3rd place. NiRunning would like to take this opportunity to say THANK YOU to everyone who supported today’s event, and to those who made it possible. A special mention must go to our fantastic race team, as well as ChampionChip Ireland, Ambutran, Forestry Service, Northern Ireland Water and Marty’s Catering (Larne). Just 5 weeks out from the much anticipated Belfast International Track & Field Meeting and excitement is building ahead of what is sure to be an excellent event. Entries are flooding in, with athletes from the UK and Ireland set to battle it out at the Mary Peters Track on Saturday 7th May 2016. The event, which is organised by Beechmount Harriers, Irish Milers Club (IMC) and Athletics NI, was launched back in January, with promises of top talent taking part – having spoken to organisers this week, NiRunning are now in a position to reveal several of the athletes who will grace the classy ‘mondo’ surface at MPT, Belfast. Already establishing itself as potentially the race of the day is the ladies 800m – last year’s winner and IMC 800m record holder Alexandra Bell (England) has come off good cross country season and will be looking to retain her title. However, the Pudsey & Bramley AC athlete, who has an 800m best of 2:01.58 will have to see off fellow English athlete Leah Barrow (Windsor, Slough, Eton & Hounslow AC) who clocked 2:03.18 indoors recently. Also included in what is an outstanding line-up is World and European Vet35 800m Champion Kelly Neely (City of Lisburn AC), Scottish based Erin McIlveen (City of Lisburn AC), Olympic hopeful Katie Kirk (QUB AC) and Irish international Aislinn Crossey (Newry AC), who has recorded 2:03.93 for the distance. Talented Scottish athlete Katy Brown (University of Cumbria AC) adds further depth to the field. In the men’s 800m, Cameron Boyek (Shildon AC) looks to be the standout competitor. The English athlete impressed on ‘the country’ back in January when his 2:43 for 1k saw him lead his leg of the international relay at the Great Edinburgh XC – he then went on the record 14:09 for 5k at the Armagh International. In 2015, Cameron ran 1:49.94 for 800m at this meeting. Up and coming Irish athlete Niall Tuohy (Ireland) will also contest the top prize, while local runners Aaron McGlynn (Finn Valley AC) and Callum Crawford-Walker (Annadale Striders) will also race. Other notable entries for the prestigious meeting include Ireland’s John Travers in the 3,000m, where he’ll be joined by James Edgar (City of Lisburn AC), Scott Rankin (Foyle Valley AC) and Conor Duffy (Glaslough Harriers). Meanwhile, in the ladies 400m hurdles, QUB AC and Ballymena & Antrim AC star Christine McMahon will face tough opposition in the form of Amber Valley AC’s Jess Turner, who has covered the distance in 57.45secs. Pending further additions to the line-up, Jack Hallas (Birchfield Harriers) and Richard Weir (Derby AC) head the men’s 1500m field, while in the ladies equivalent, Irish international Emma Mitchell (QUB AC) and Amy O’Donoghue (Emerald AC) will face Welsh Senior Championship 1500m medallist Jade Williams (Amman Valley AC) and 4:36 miler Gemma Kersey (Basildon AC). All in all, it’s simmering well for an epic afternoon of action, which will also include junior races within the programme. Full information on the event, including a link to online entries, is available on the new Irish Milers Club website HERE. After a busy few weeks of competition, none more so than the Easter Weekend just past, this coming weekend looks quite quiet on paper. There are just three races listed on the official Athletics NI calendar, but there is no time to take our foot off the gas, with our own NiRunning ‘Killylane Klassic’ 5 mile Trail Race taking place, as well as a new addition to the RunHer calendar, the Delamont Park 10k (and 5k). The penultimate race of the Valleys 5k Series will also add further choice for local runners. Elsewhere, the Rabbit Run 5k will take place in Newtownabbey and athletes from Northern Ireland will continue their hunt for medals at the European Masters Indoor Track & Field Championships in Italy. This week, a number of athletes from Northern Ireland have been in action at the European Masters Indoor Track & Field Championships in Ancona, Italy. The prestigious competition is ongoing (Tuesday 29th March to Sunday 3rd April 2016) and local athletes have already picked up medals. Northern Ireland’s Kelly Neely (City of Lisburn AC) and Denise Toner (Clones AC) have secured gold and silver medals respectively – our summary is available within the March ‘News’ section. Other familiar faces in action at the event include Adrian Boyle (Derry City Track Club), Joy McAleer (City of Lisburn AC), Aaron Doherty (City of Derry AC), Cathal McLaughlin (Derry City Track Club) and Malcolm McCausland (Derry City Track Club). The weekend action will kick off on Saturday 2nd April 2016, when NiRunning (Northern Ireland Running) host the 3rd annual running of our ‘Killylane Klassic’ 5 mile Trail Race at Ballyboley Forest, close to Larne. The event, which starts and finishes on the banks of the picturesque Killylane Reservoir, covers a relatively fast 5 mile course, taking in some good forest trails and fire roads within the confines of Ballyboley Forest. Previous winner of the event, Jonny Steede (Glens Runners) will return and will take on this course for the first time – back in 2014, when Jonny won, the route had to be revised on race day because of dangerously icy conditions and snow in the area. The Glens Runners man will challenge the course record set by David Simpson, now of Newcastle AC, last year; David recorded 26:53 for the course. David, who has enjoyed an excellent cross country season, may return and could be joined on the start line by Glenwherry man Mark McKinstry (North Belfast Harriers) – Mark has finished as runner up here in the last two years, but given his recent form, there would be no better time for the local athlete, who regularly trains in the forest, to put that right with a victory. Should Jonny, Mark and David all start, it would make for an excellent race! Simon Reeve (North Belfast Harriers) and Nigel McClintock (Ballymena Runners), both of whom have secured top ten places at the event previously, will start and should be amongst the top finishers once again. The same can be said for East Antrim Harriers’ David Turtle, North Belfast Harriers’ Conor Shiels, Foyle Valley AC new boy Darragh Crossan and East Coast AC’s Chris Davis of they decide to compete. Eric Montgomery (Lagan Valley AC) and Emmett Woods (Larne AC) will also run well. In the ladies race, Larne native Paula McAllister (Ballymena Runners) will play a major part in proceedings. Earlier this month, Paula showed good form when she sealed a podium place at the NIMRA Championship opener at Glenariff, taking third place. Respected marathoner and ultra-runner Gillian Cordner (Seapark AC) will also feature at the head of the pack, as will City of Derry AC athlete Una Gavin. Ever consistent athletes Julie Murphy (Lagan Valley AC) and Liz Leitch (Orangegrove AC) should also place well; in 2015, Liz claimed fifth place in what was a competitive ladies field, headed by Shileen O’Kane (Lagan Valley AC). Note: Online entry for the NiRunning Killylane Klassic 5 mile Trail Race is now close. However, a limited number of entries will be available on the day (priced at £8). Registration will be open from 9.30am until STRICTLY 10.50am. On Sunday 3rd April 2016, hundreds of athletes are expected to descend on the scenic Delamont Park in County Down for the inaugural running of the RunHer Delamont Park 10k and associated 5k race. The ‘original’ ladies only Series, organised by Pure Running, has established itself over the years and the addition of this new event has attracted significant interest. The course will feature a single, challenging lap for the 5k athletes, taking them around the perimeter of Delamont Park, taking in some excellent trails, before heading along the shore of Strangford Lough; and through wooded paths as the route makes its way back to the Visitors’ Centre finish area. The 10k runners will take in two laps with a ‘sting in the tail’ at the end as the ladies make their way up to and around the Strangford Stone. Close to three hundred runners will take on the 10k event, with Mourne Runners’ Laura Graham likely to head the pack. Despite being deep into marathon training, Laura has impressed on an almost weekly basis of late, with significant wins at the Larne Half Marathon and Omagh Half Marathon; in the latter, the Kilkeel lady recorded a new 13.1 mile best of 1:18:07. Orangegrove AC’s Lyndsey Tyro will also be there or there abouts, while Larne AC’s Gillian Logan, winner of the Resolution Run 10k earlier this month, will be another athlete to look out for. Verity Cornford (Orangegrove AC), Julie Balmer (North Down AC) and Paula McKibbin (Murlough AC) will all run well. In the 5k race, there will be an interesting dual between North Down AC star Rachel Gibson and the up and coming Newry AC new girl Esther Dickson. Both ladies have been in good form recently, with Rachel winning the St Paddy’s Day 5k in Derry/Londonderry in 18:22 and Esther taking fifth place at the Larne Half Marathon in 1:26:47 – Rachel should edge it over the shorter distance, but it will be an excellent race none-the-less. Sam McNeilly (Newcastle AC) and Joan Melanophy (St Peter’s AC) will also place well. Also on Sunday 3rd April 2016, a large number of competitors are likely to turn out for the penultimate race of the increasingly popular Valleys 5k Series, organised by Valley Running Club. Following on from successful events in Ness Wood and Benone Beach, this event will take place in Ballykelly Forest. Chris Millar (Derry City Track Club), Colm Mullan (Unattached) and Jeff Young (Valley Running Club) have been dominant in the opening two races of the Series, with Chris winning both, and Colm and Jeff finishing in second and third respectively (in both races). All three should start as they progress towards completing all four races in order to make the final Series standings. In truth, it’s hard to see that anyone else will challenge the aforementioned trio unless the likes of Foyle Valley AC men Adrian McGowan, Chris McGuinness or Pius McIntyre take to the start line. In the ladies race, Kerrie McIlmoyle (Foyle Valley AC) cruised to victory at Race 2 and should return. The Foyle Valley AC lady claimed seventh place overall and will finish in a similar position (overall) should she enter on the day. Race 1 winner Anya Hockley (Eglinton Runners) should also feature and will finish well up the field, while her club mate Shona Watson should finish in or around the podium places. Lynne Young (Unattached) and Lizanne Wilson (Unattached) should also play a part at the sharp end following good runs at Benone Beach. On the same day (Sunday 3rd April 2016), well over four hundred competitors will take on the 2nd annual Rabbit Run 5k in Hazelbank Park, Newtownabbey (11am). Although this race is geared towards raising worthwhile funds for the Northern Ireland Children’s Hospice, it will also have a competitive edge and ultimately, is a timed race over what is a flat and fast course. It is unclear as to whether reigning Champions Liz Leitch (Orangegrove AC) and Tony McCambridge (North Belfast Harriers) will return to defend their titles, but if they do, both should play a major part in proceedings. Other athletes to look out for include young Luke Kelly (North Belfast Harriers) and ever improving East Coast AC athlete Brian Maltman in the men’s event, and Attracta Magennis (Newry City Runners), Nuala Muldoon (North Belfast Harriers) and Kirsten Montgomery (Larne AC) in the ladies race. In Castlewellan on Sunday 3rd April 2016, athletes from the County Down area will descend on Castlewellan for the annual Castlewellan Spring Lakes 10k (and associated 5k), which starts in the town (at 1pm) and covers a scenic course around the nearby Castlewellan Country Park. Newcastle AC’s David O’Flaherty may return to defend the title he won so impressively in 2015. Since winning at the event twelve months ago, David has returned to his best and enjoyed an excellent cross country season, helping his club to the NI & Ulster Senior XC title. His Newcastle AC club mates David McNeilly and Martin Melville could also toe the line, while East Down AC’s Barrie Atkinson will also challenge for honours if he decides to entry on the day. Ciaran Denvir (East Down AC), John Kelly (Newcastle AC) and Brendan Quail (Newcaste AC) will finish inside the top ten should they start. East Down AC’s Catherine O’Connor will start as pre-race favourite and should the 2015 Champion show the same kind of form that she did 12 months ago, when she won by six minutes, she’ll be hard to beat. Patricia McKibbin (Newcastle AC) and Sinead McKibbin (Castlewellan RC) will also contest the prize-winning places. Remember – If you would like to catch up on our ‘News’ from April 2016, including a summary on medals for Northern Ireland based athletes at the ongoing European Masters Indoor Track & Field Championships, you can use the navigation banner at the top of the screen (and scroll to February 2015) or click HERE.